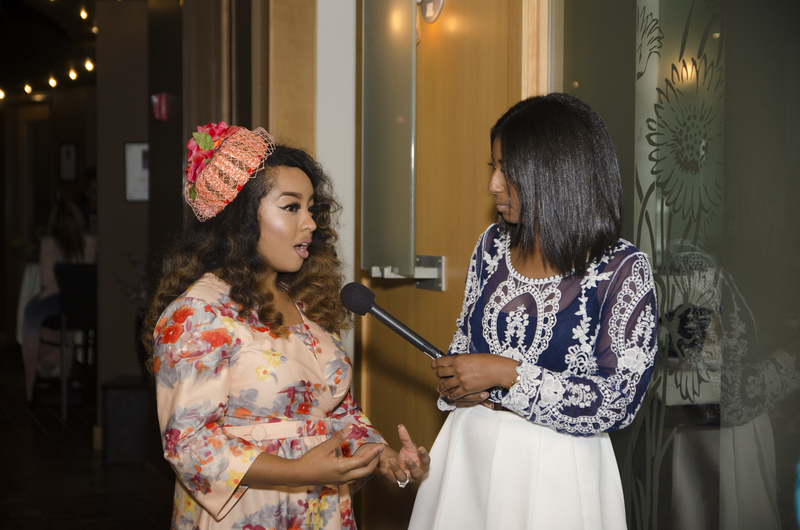 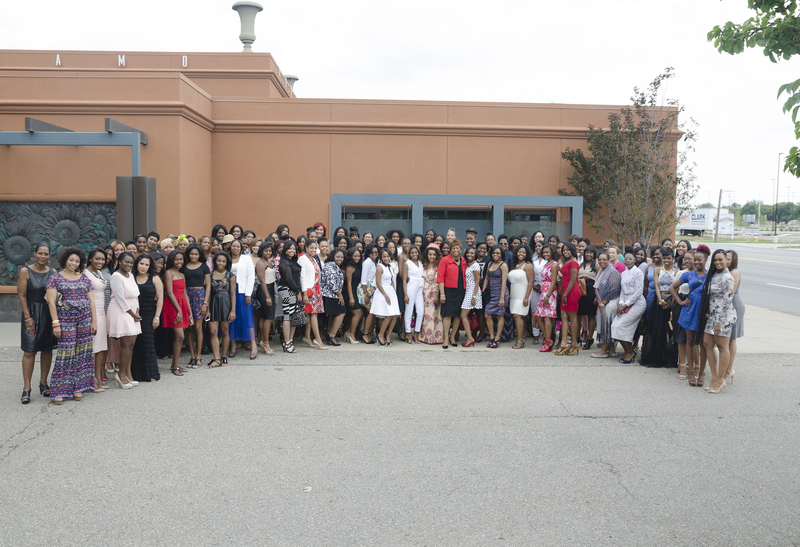 On Saturday afternoon, Andiamo’s of Dearborn was filled with women in their best dressed attire as they chatted, laughed, networked and Instagrammed every moment of the Powerful Women III luncheon. 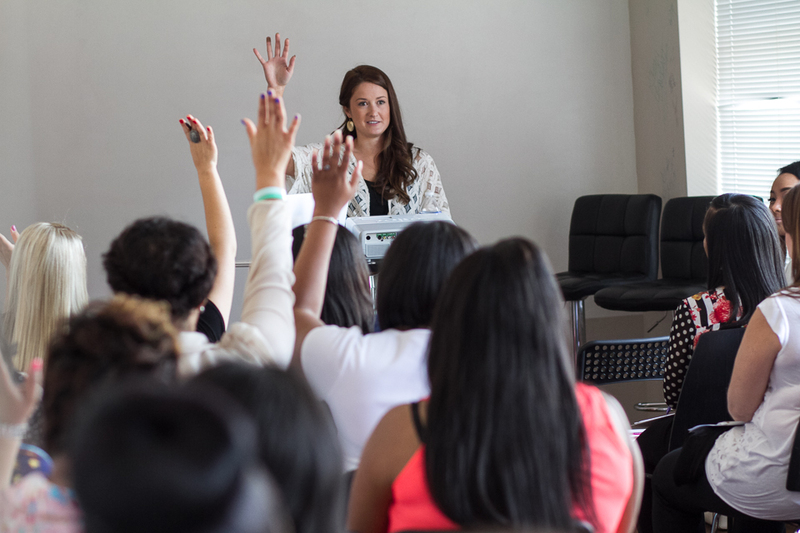 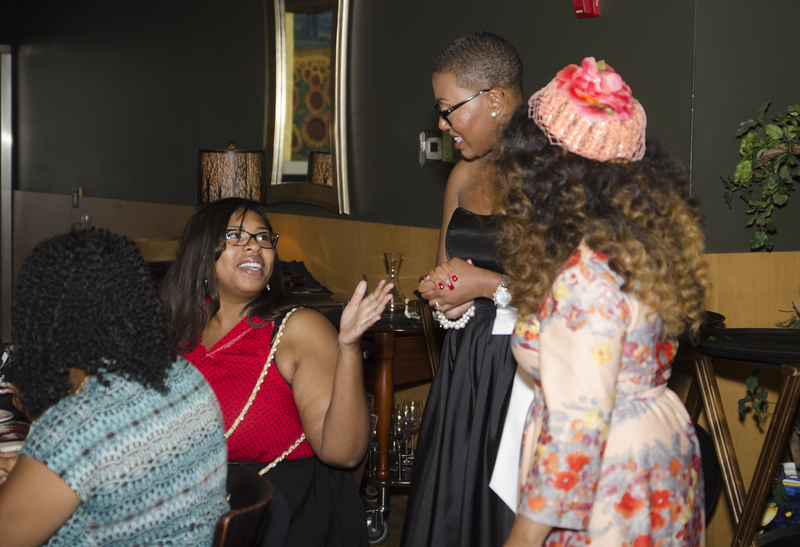 The event attracted women from various professions that included politics, photography, fashion, culinary and even teenagers. 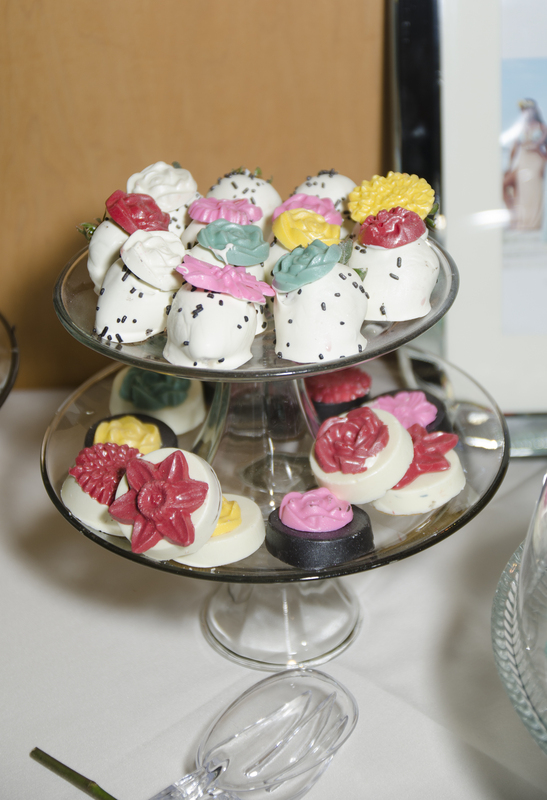 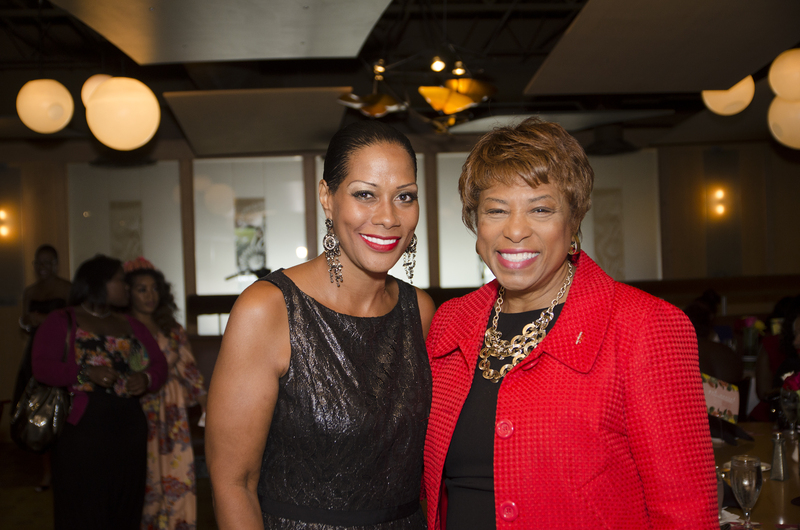 Mayor and congresswoman, Brenda Lawrence and international photo journalist, Monica Morgan and boutique cake designer, Heather Anne Leavitt were among those in attendance. 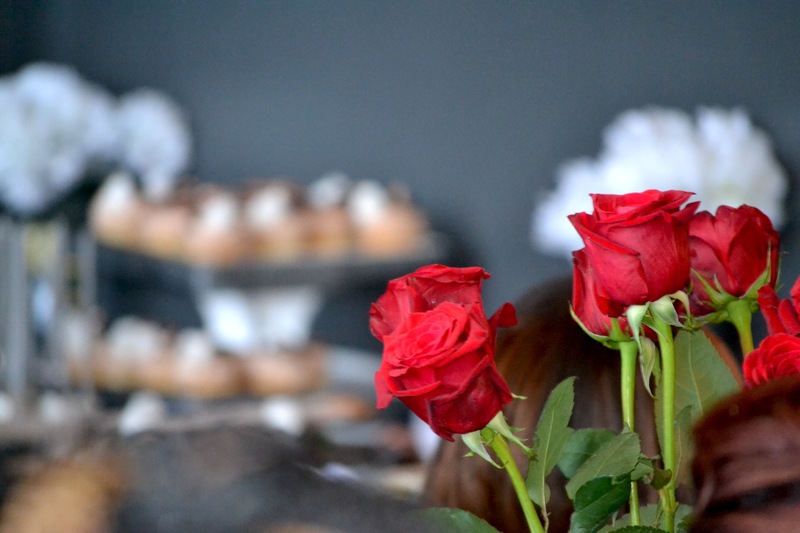 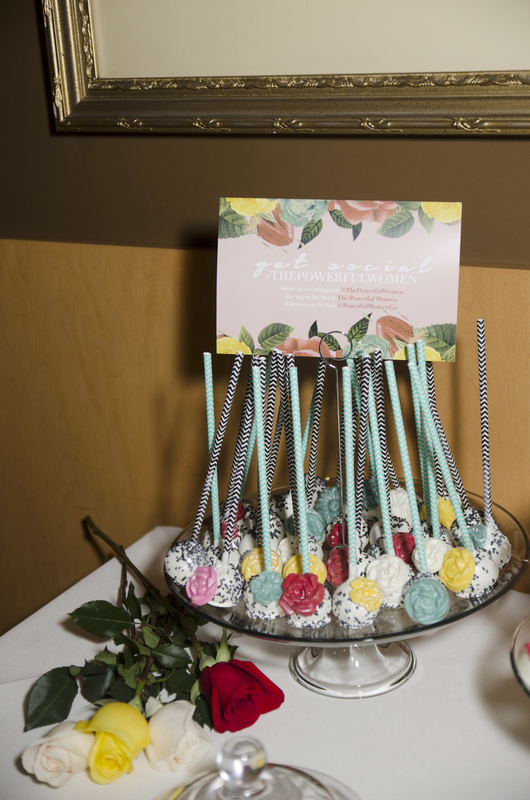 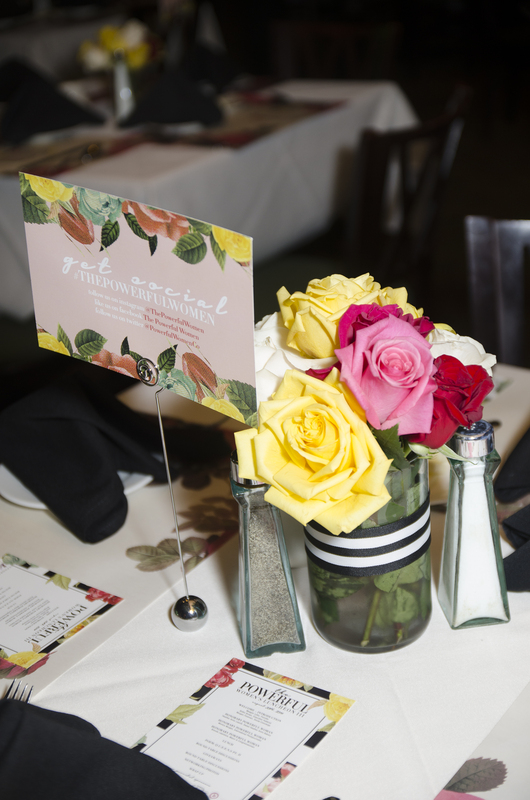 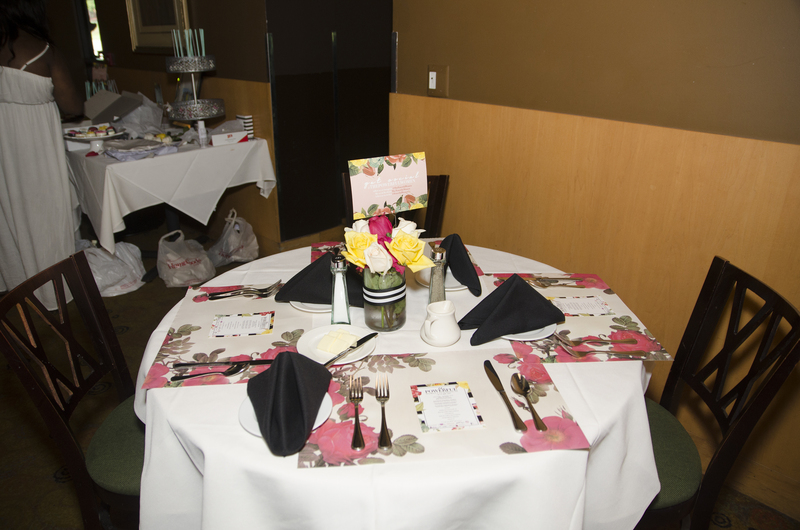 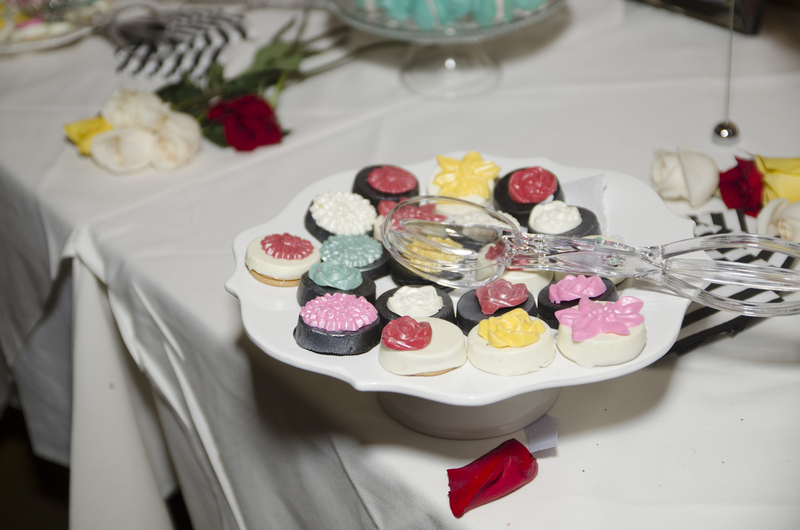 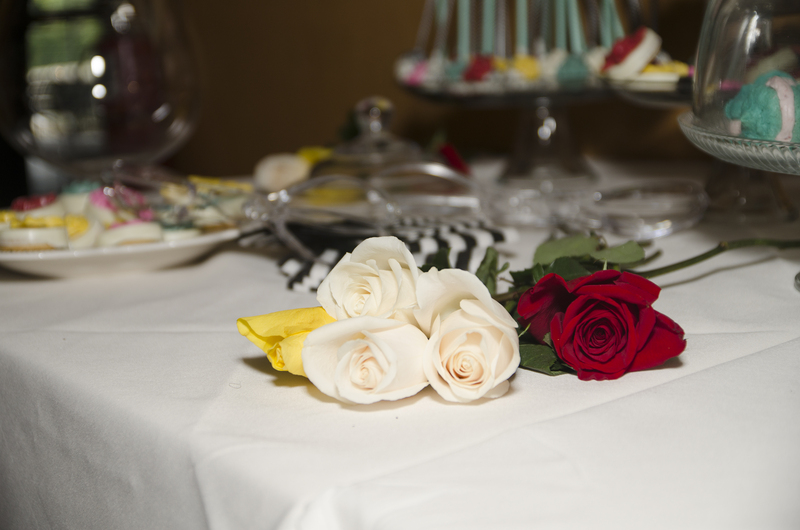 Upon entry, each place setting was decorated with rose place mats, a small assortment of colorful roses at the center of each table and place cards that reminded guests to share their experiences of the luncheon via social media. 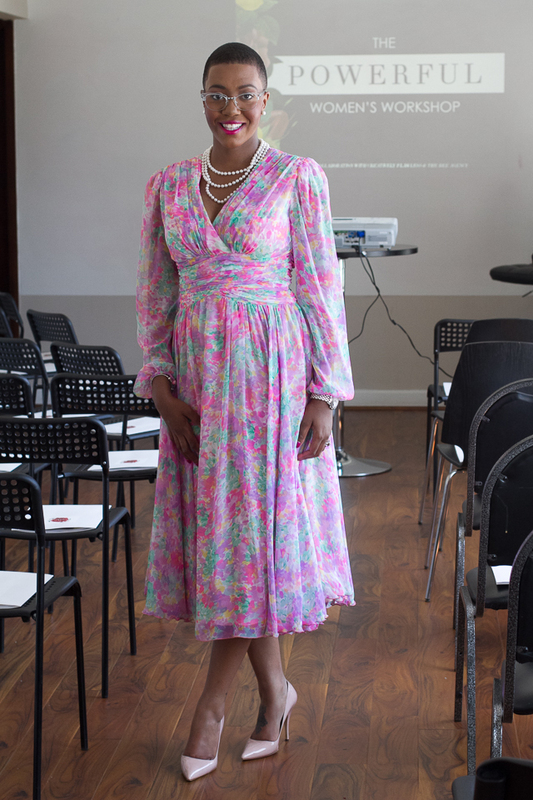 Many women wore cocktail and simple summer dresses. 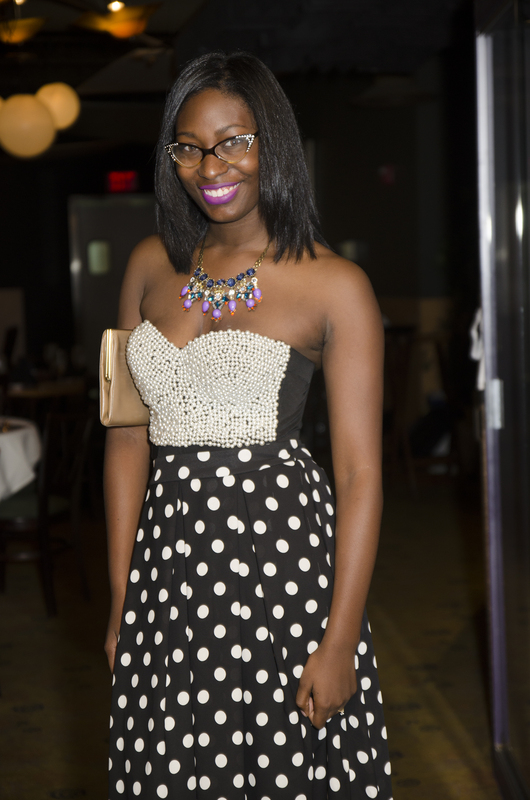 The colors black and white also seem to be trending for the event. 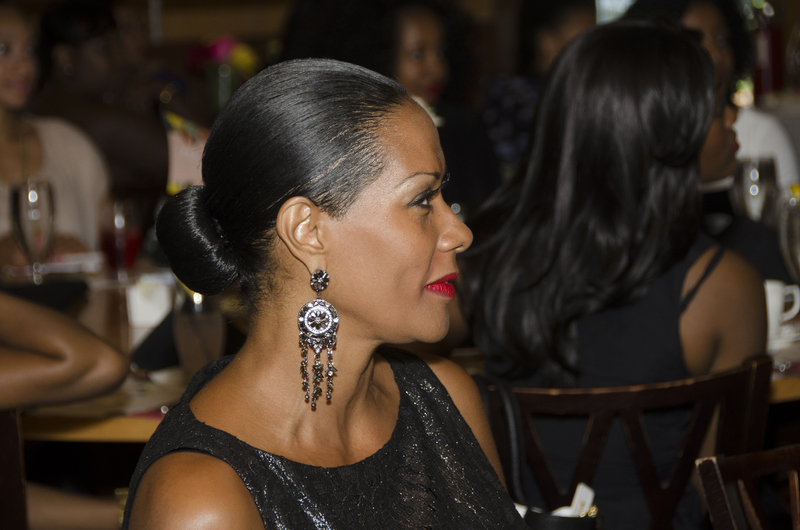 When it came to the tresses, a majority of the ladies opted for high buns and other simple up dos which coincided with the elegance of the luncheon. 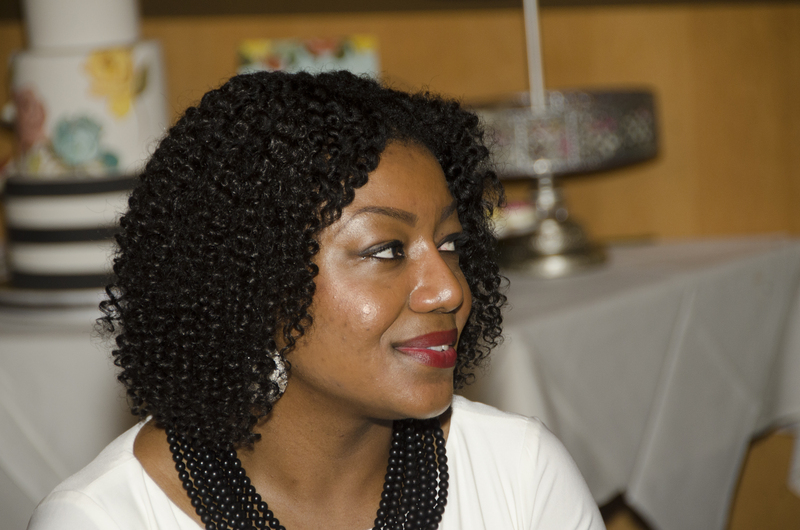 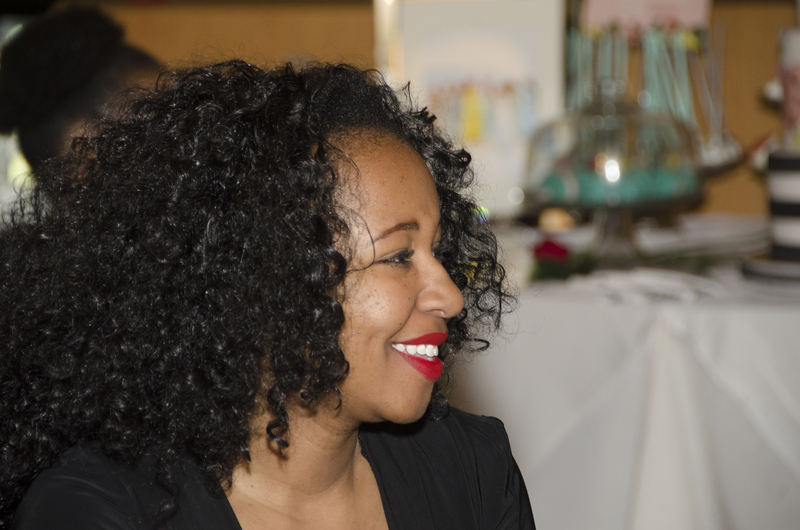 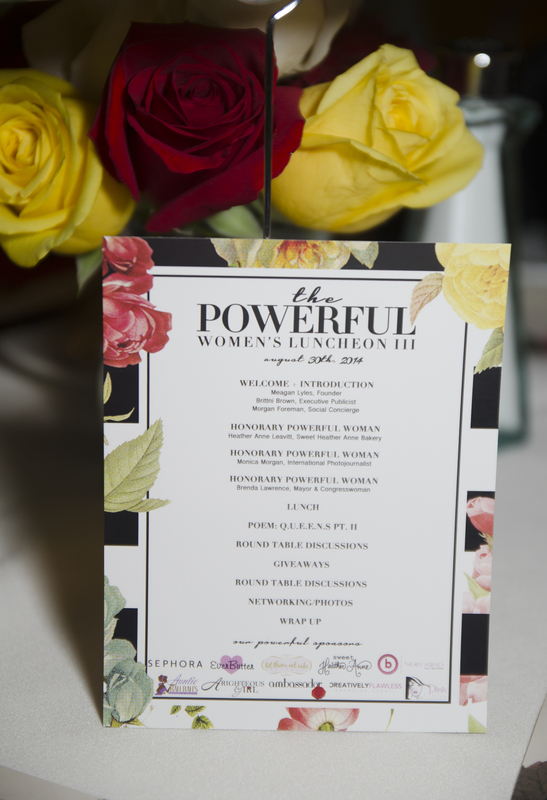 After several minutes of meeting and greeting, the luncheon began at 12:30 pm with an introduction by the Powerful Women Luncheon founder, Meagan Lyles. 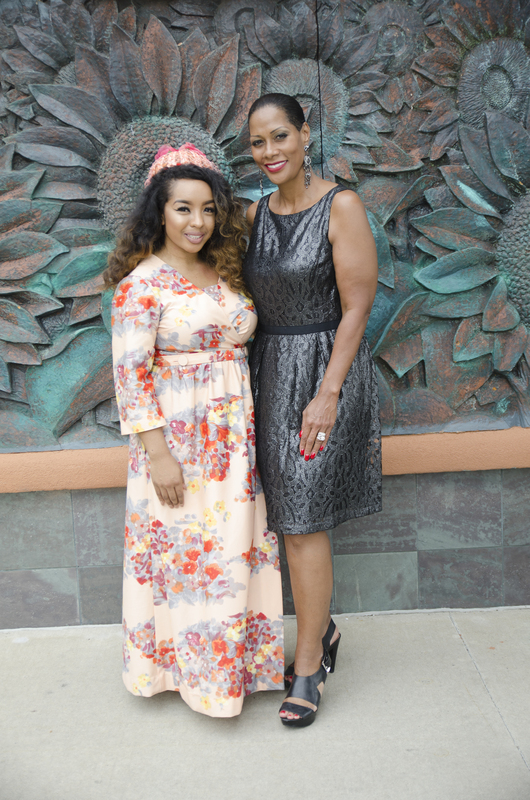 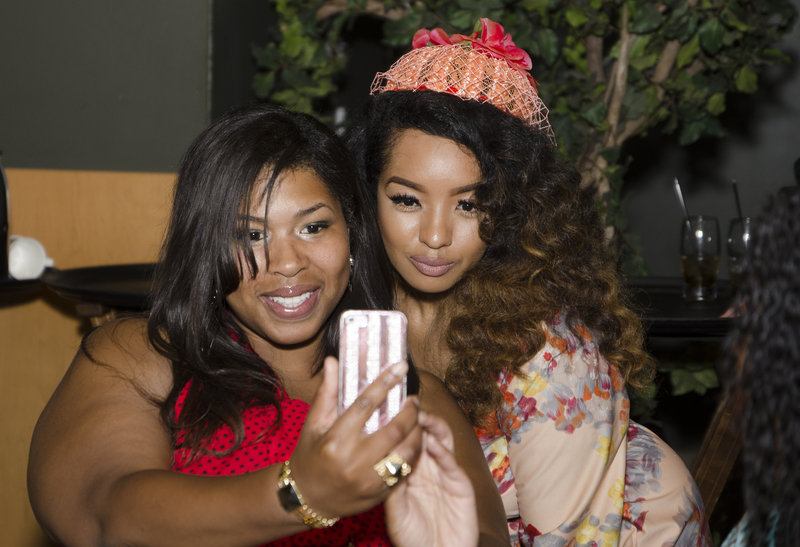 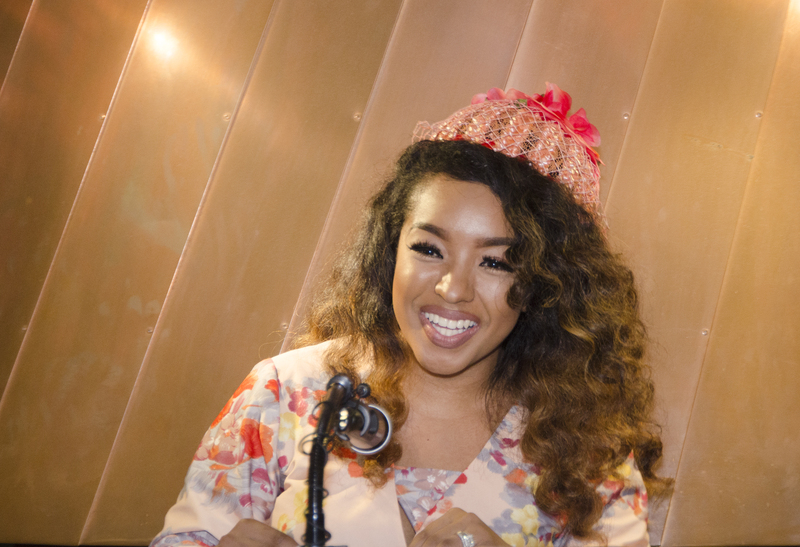 Lyles stood proud and overwhelmed with emotion in a floor length floral print dress and small floral hat as she expressed happiness to have everyone in attendance. 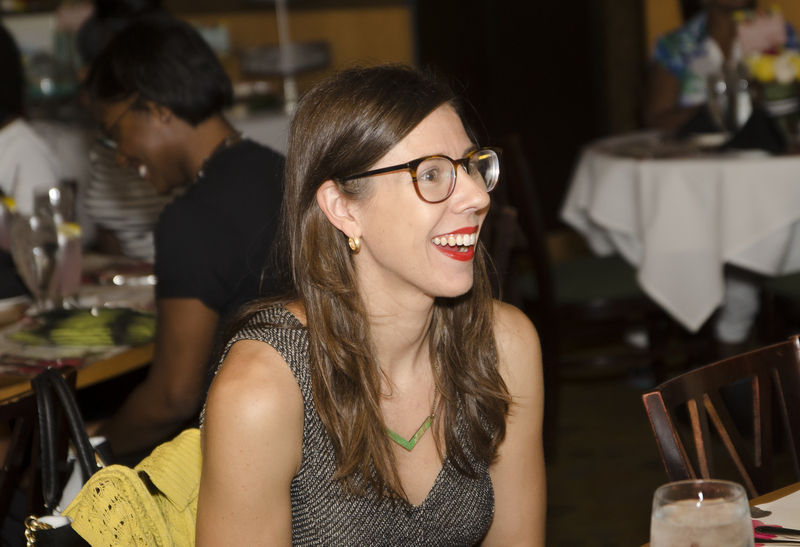 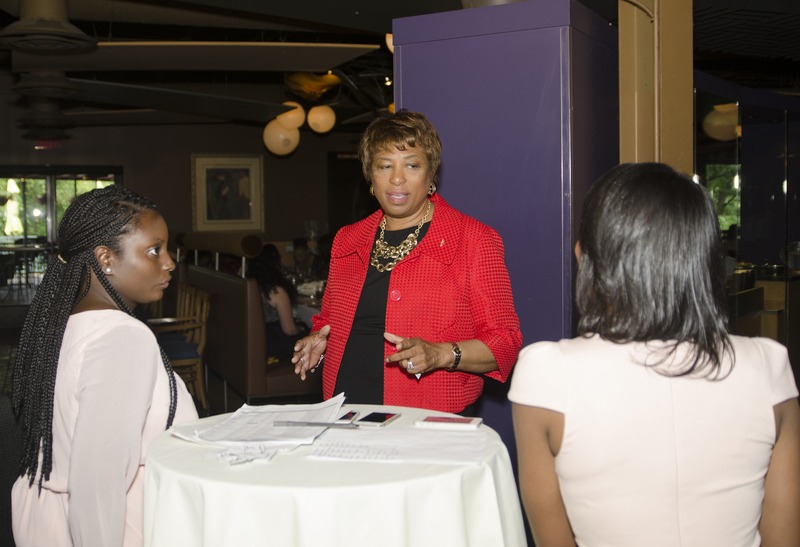 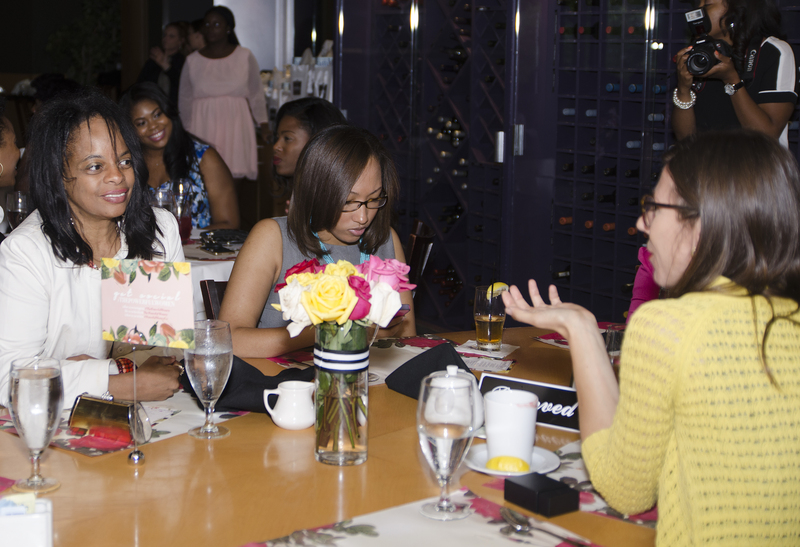 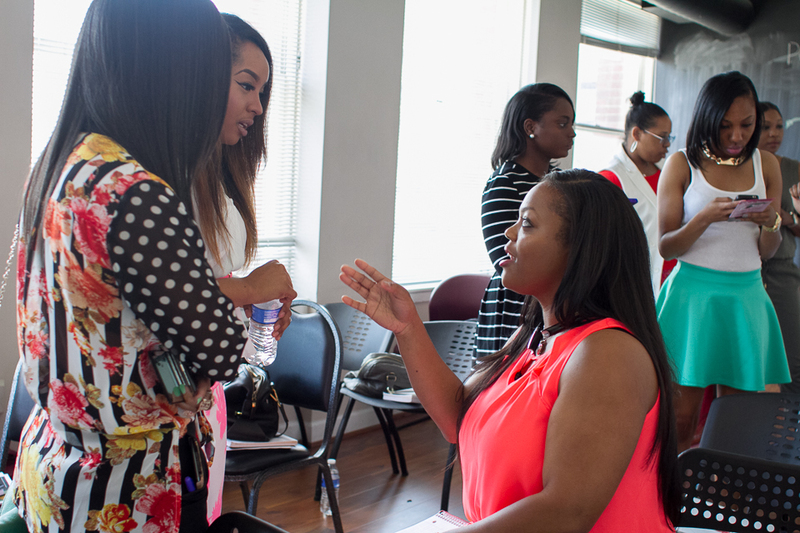 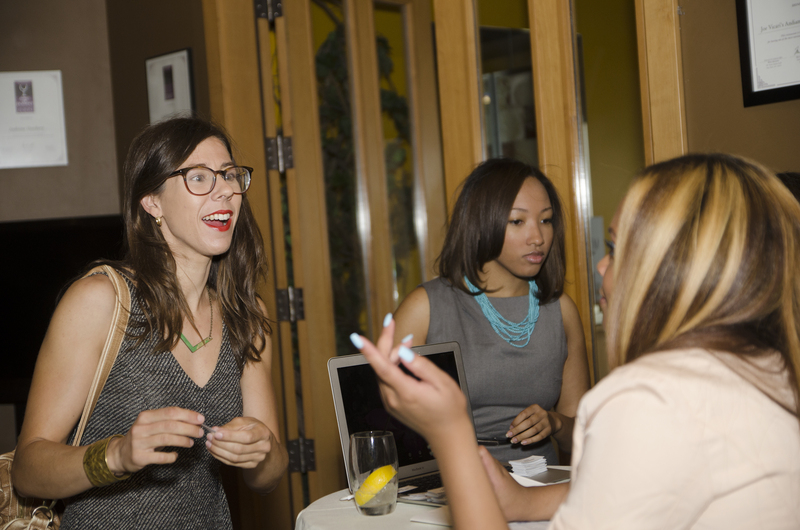 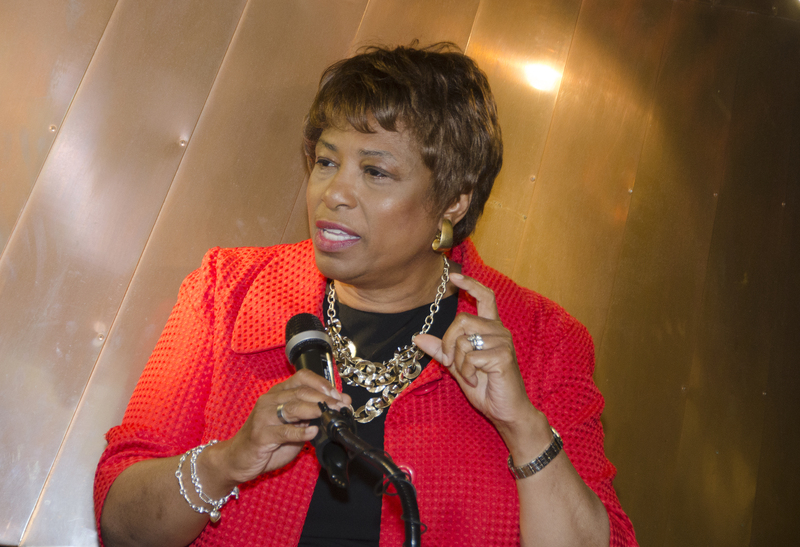 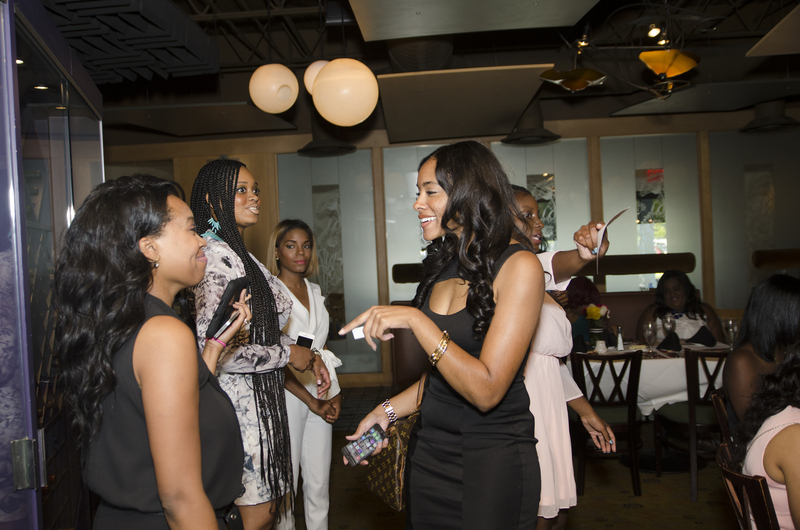 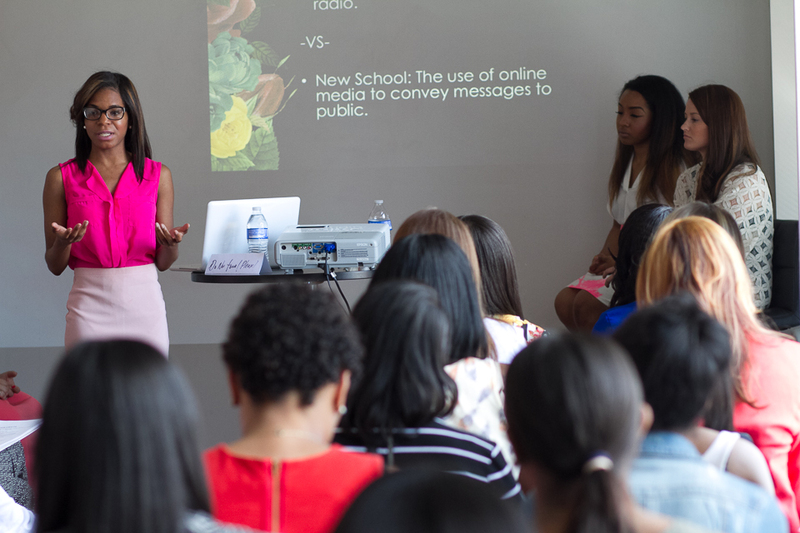 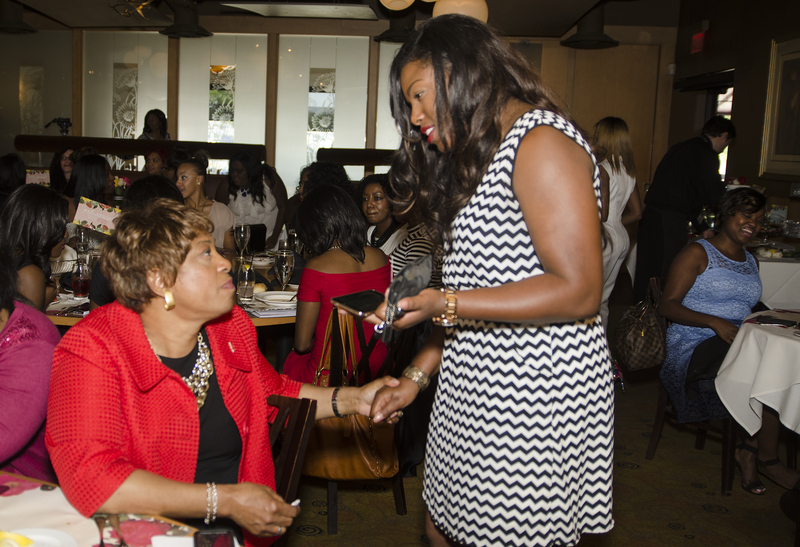 Lyles proceeded to also provide a brief history of how the Powerful Women luncheon began as a mini get-together of 20 to 30 women she met in passing for a lunch to simply network. 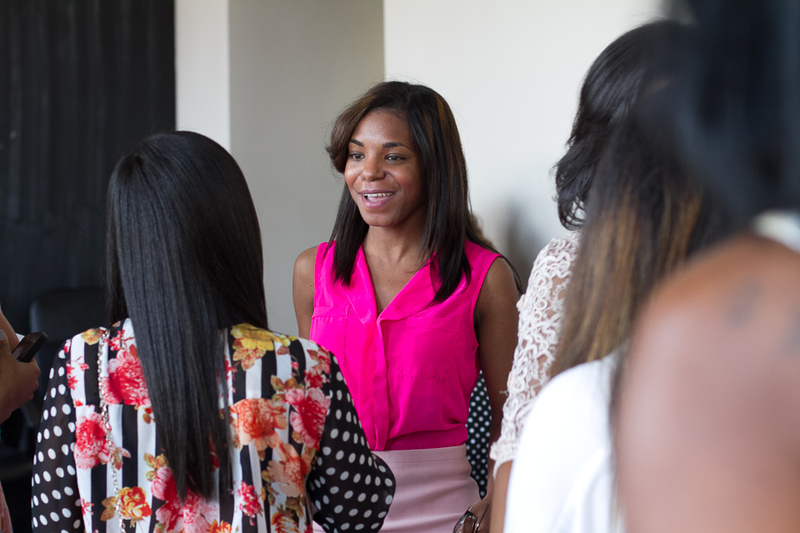 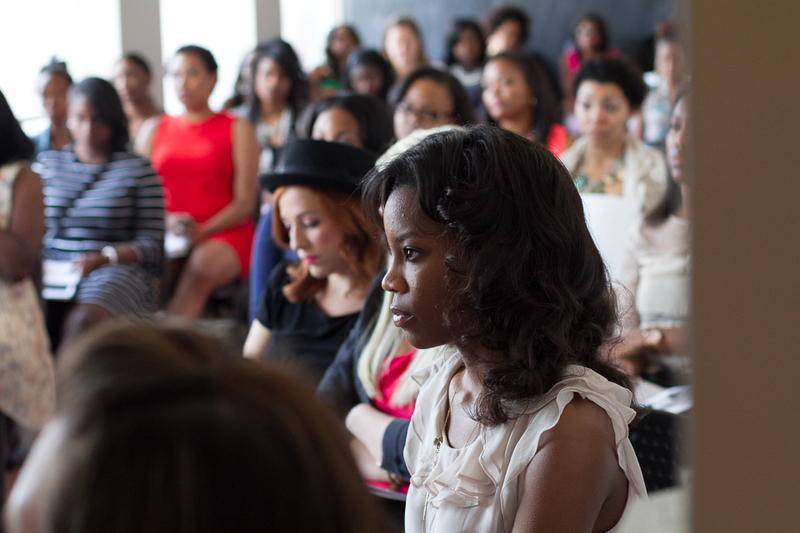 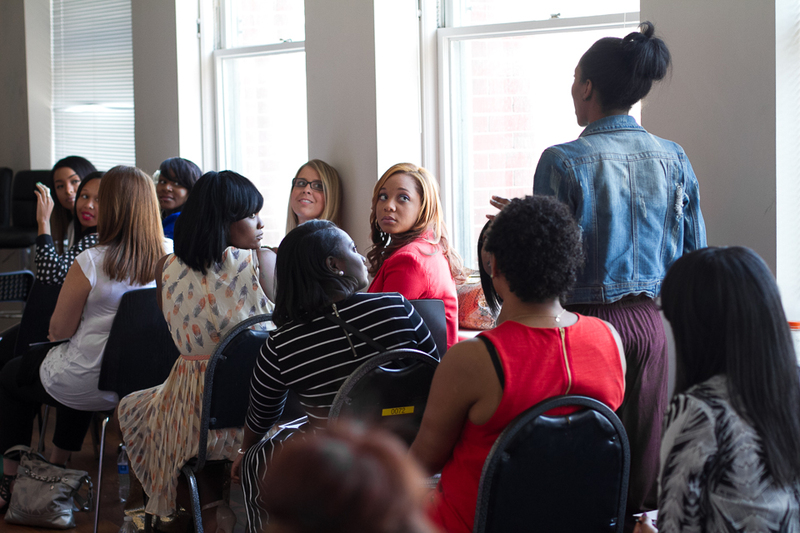 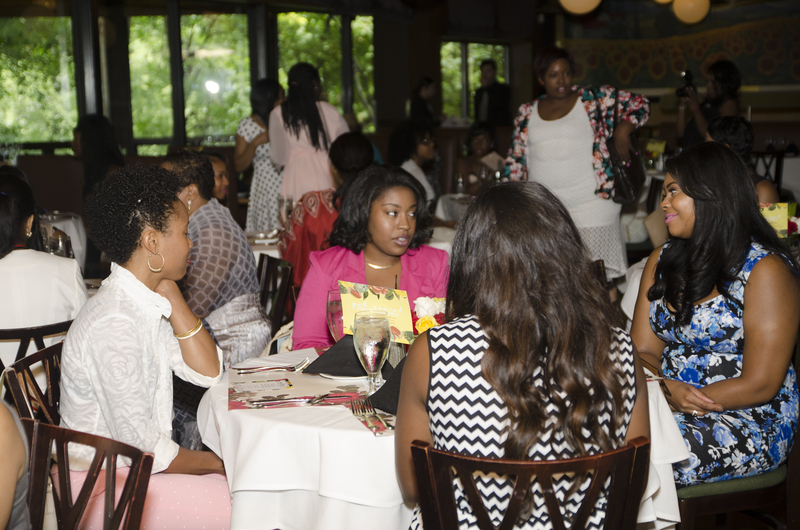 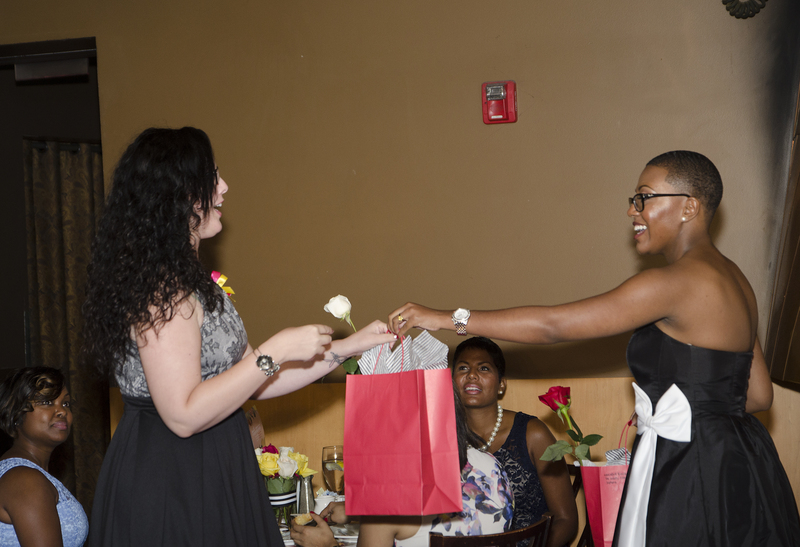 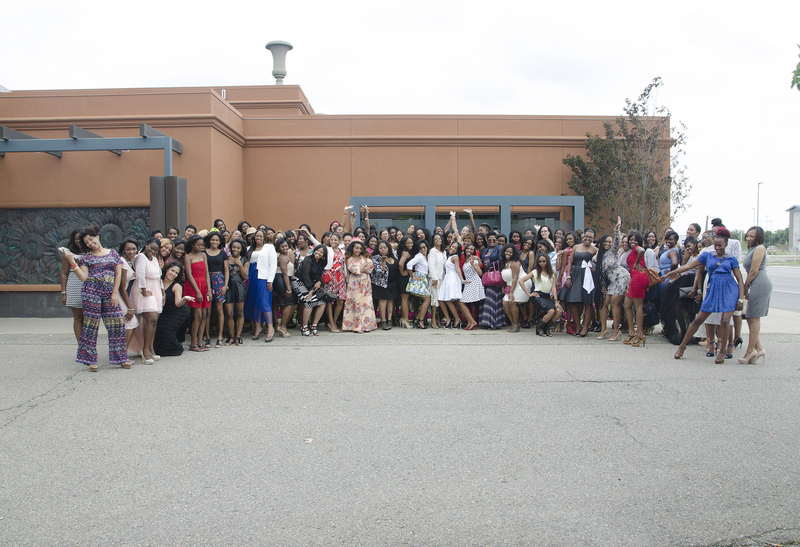 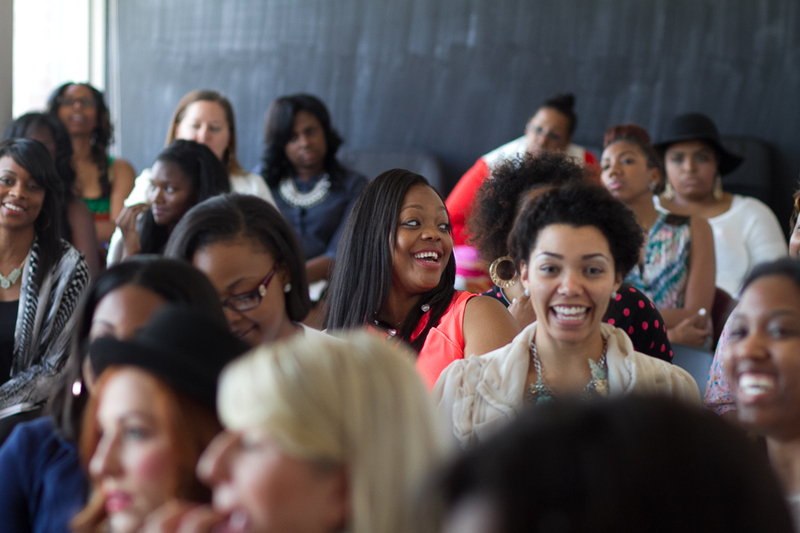 Since then the luncheon has grown to include 100 plus women from different backgrounds and careers. 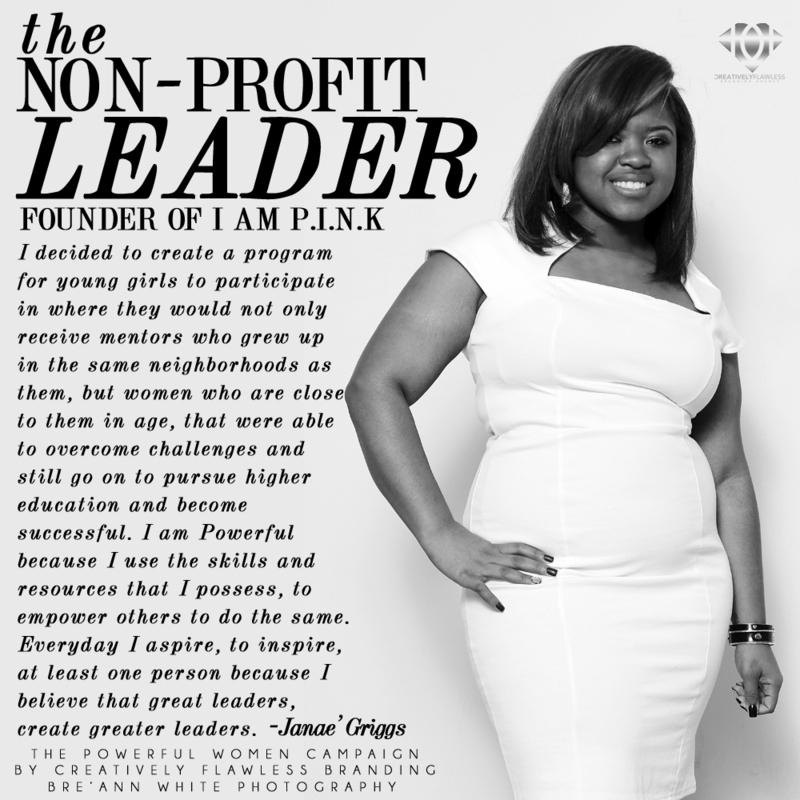 “We don’t do this not for profit.  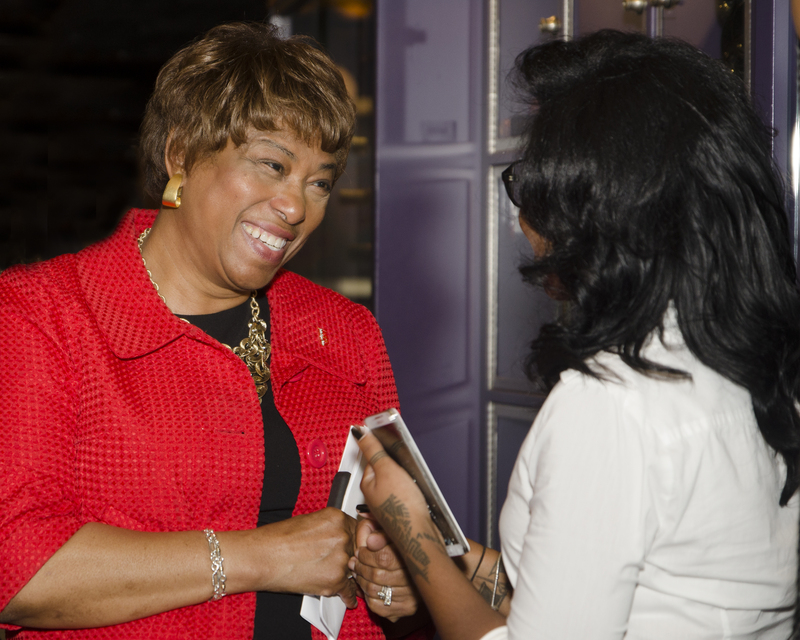 We do for this out of passion”, explained Lyles. 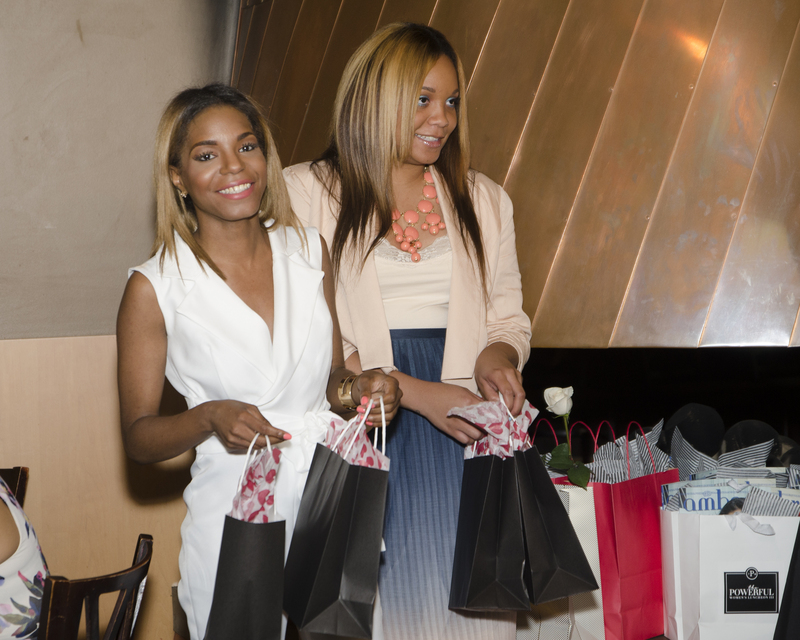 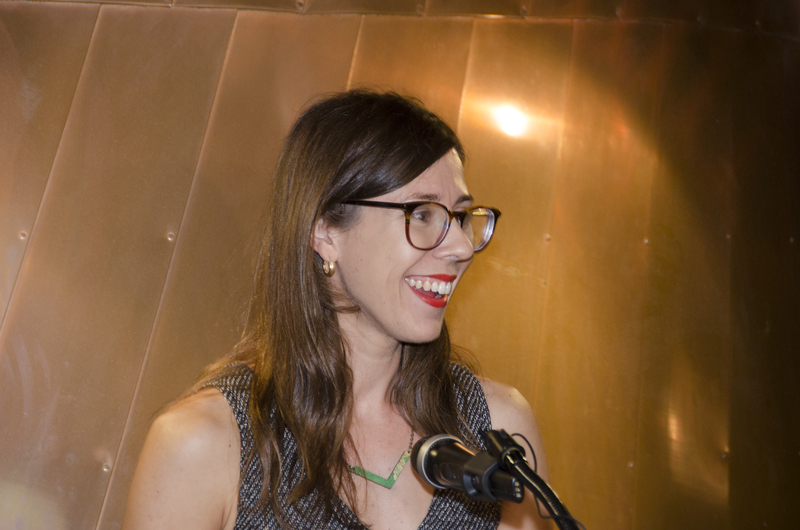 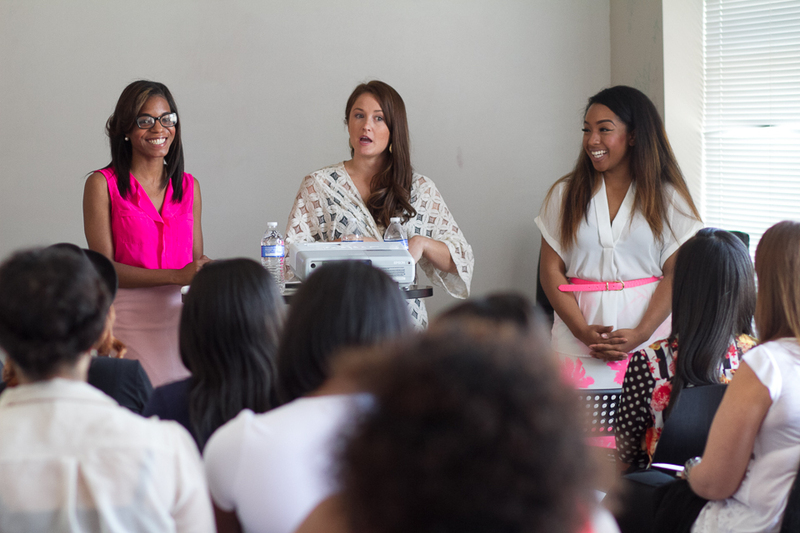 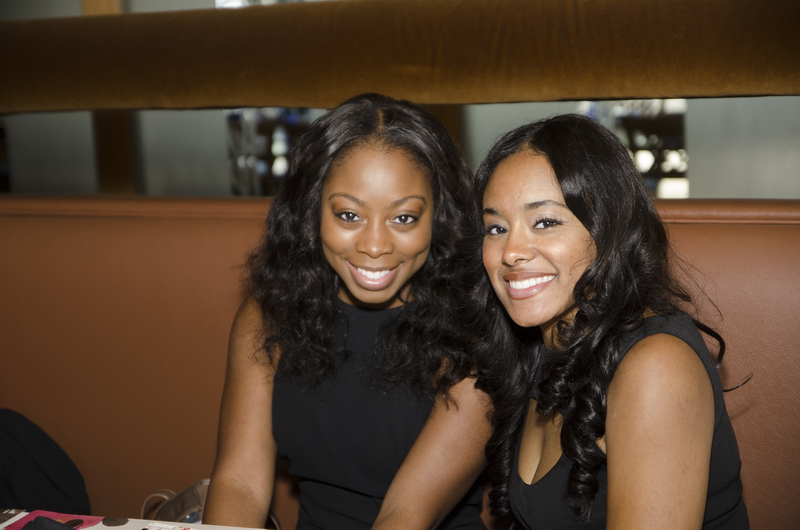 Lyles went on to introduce her partners in putting together the luncheons: Brittni Brown, executive publicist and Morgan Foreman, social concierge. 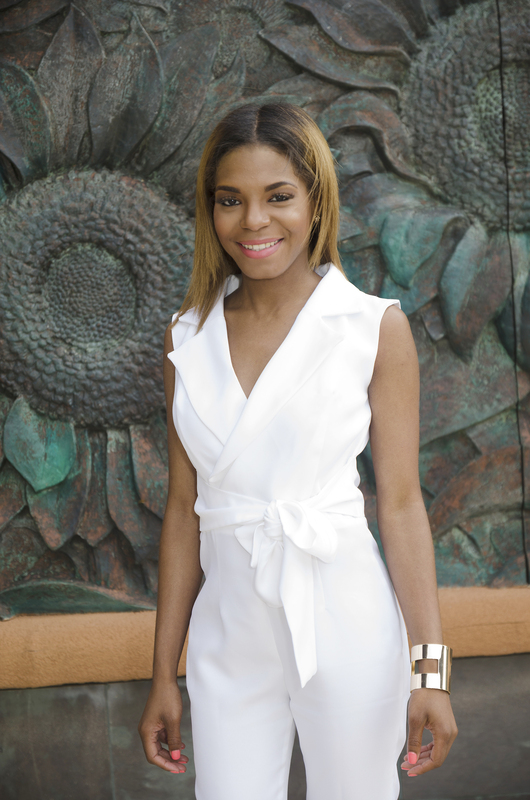 Brown wore a custom-made white jumpsuit with a white bow adorned on the side of the waistline with open toe, print shoes. 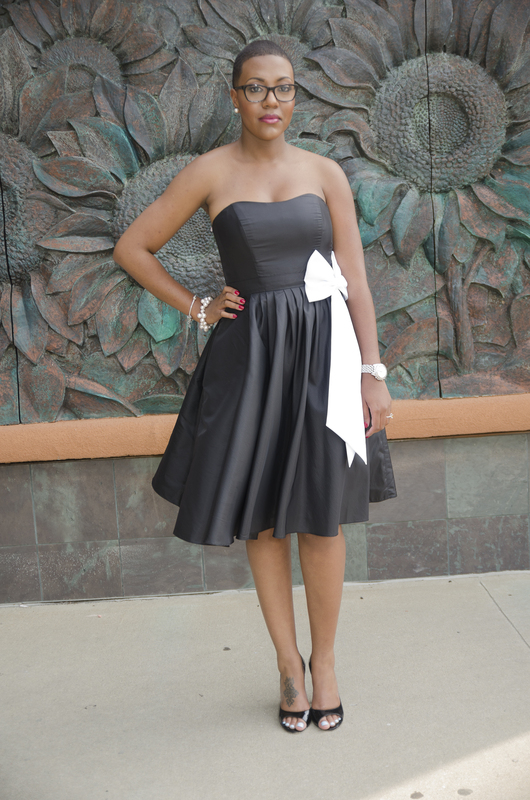 Foreman wore a black baby doll cocktail dress with a sweetheart neckline with a white bow at the waist. 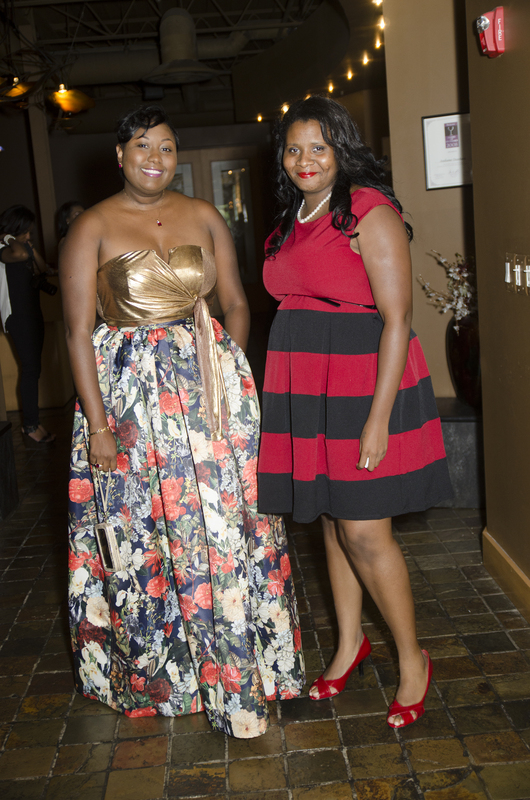 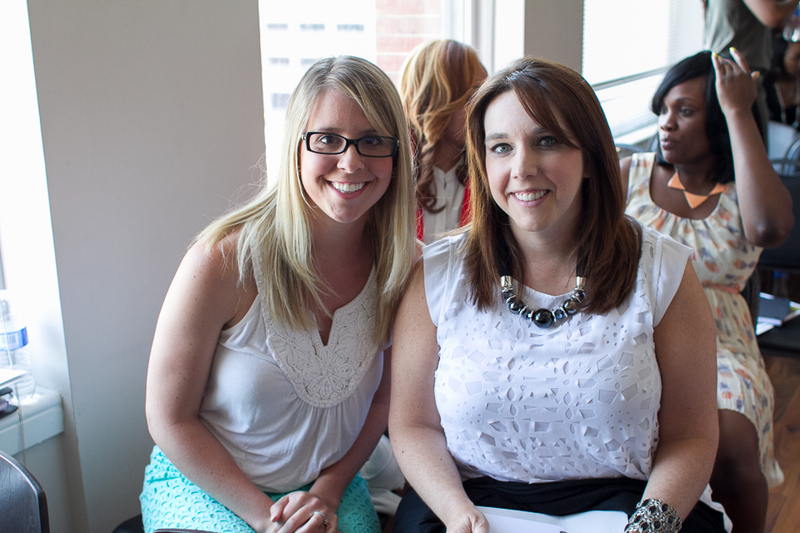 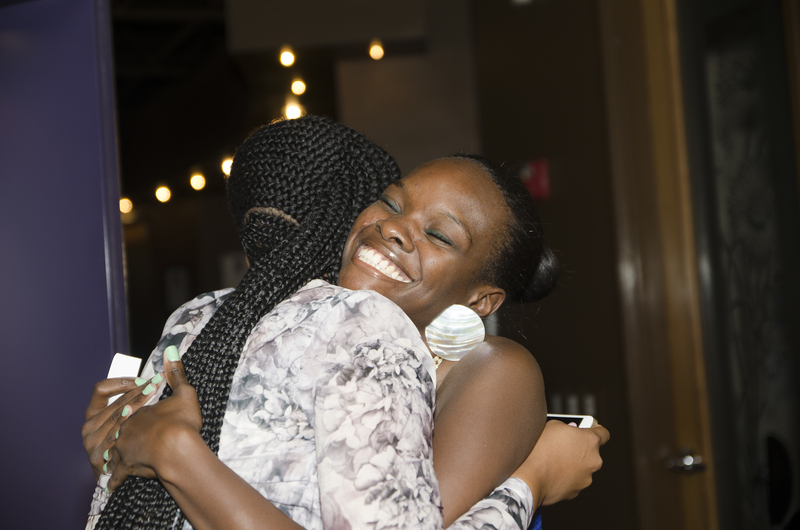 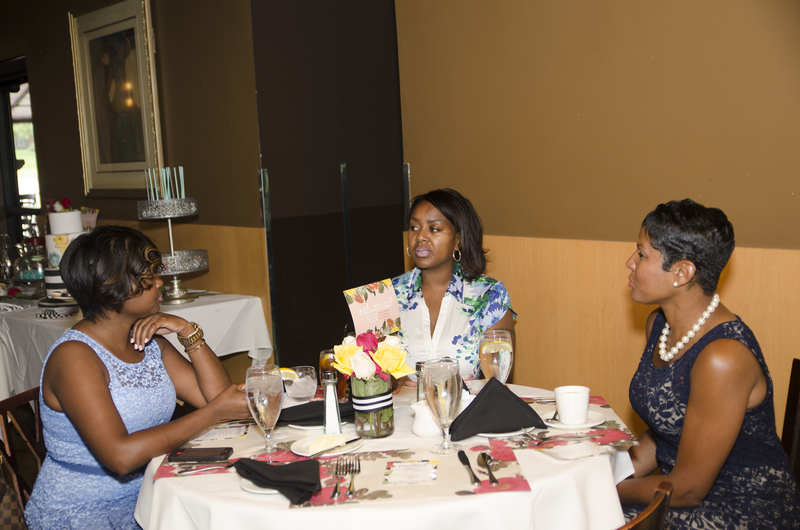 Both ladies expressed how simple networking led them to become involved in the luncheon and the details behind putting it together a third time. 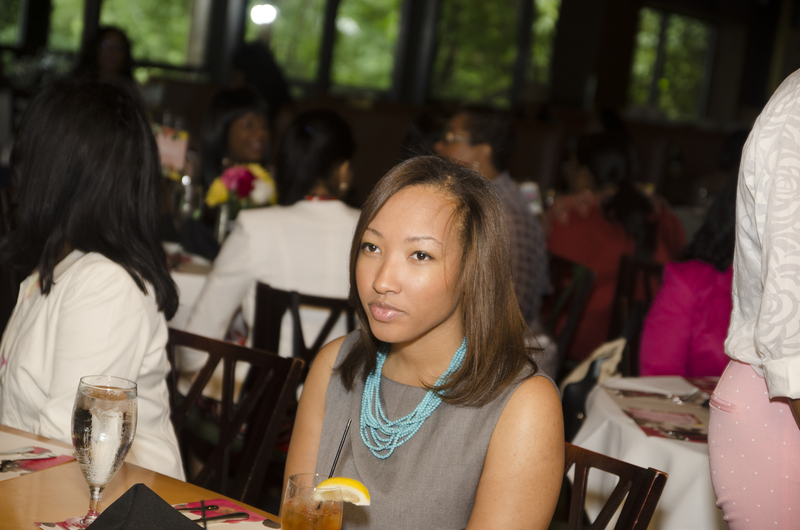 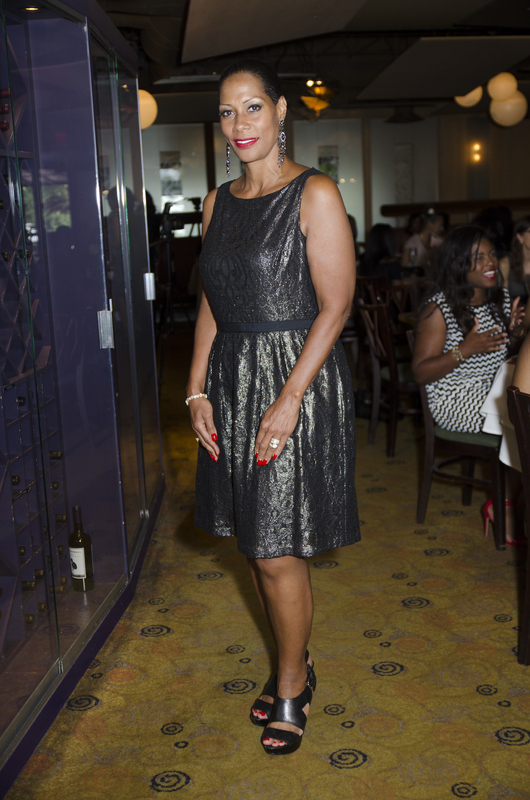 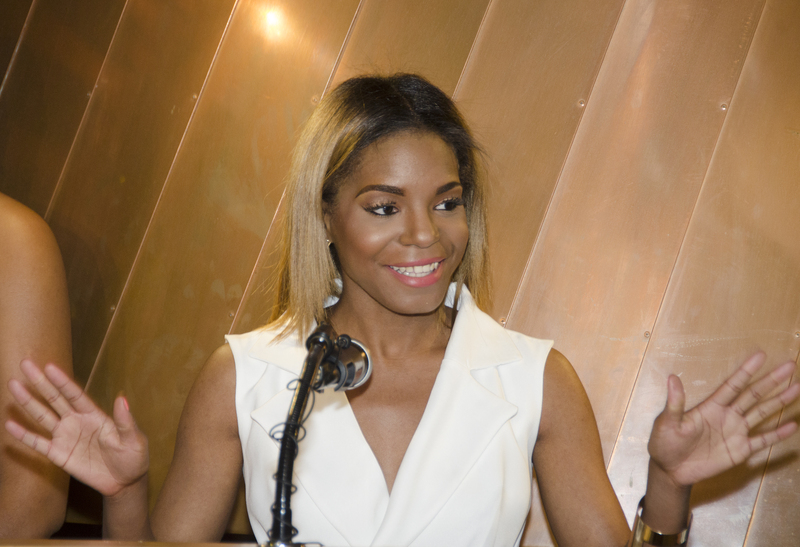 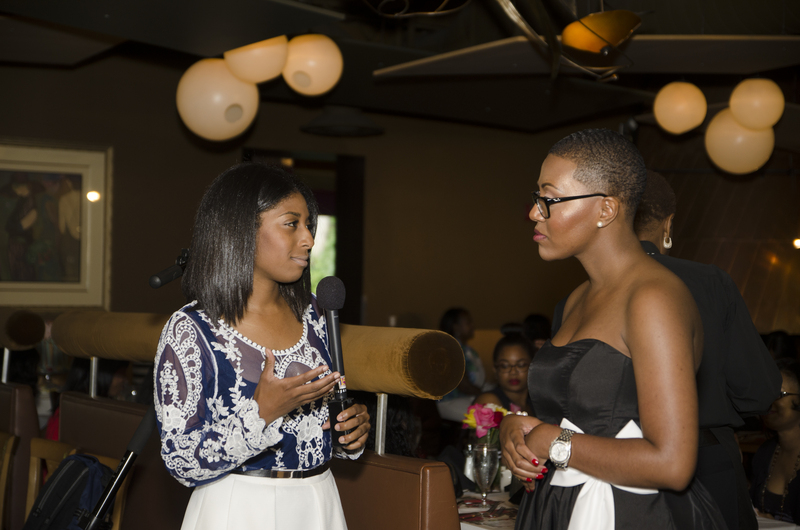 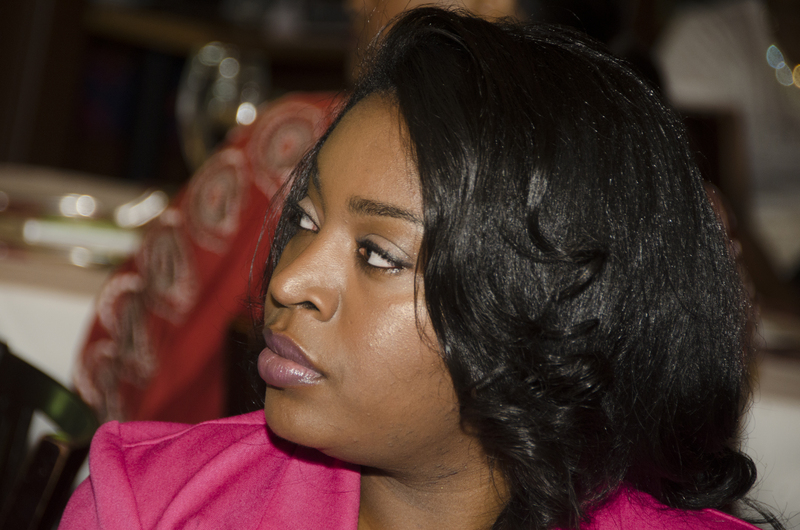 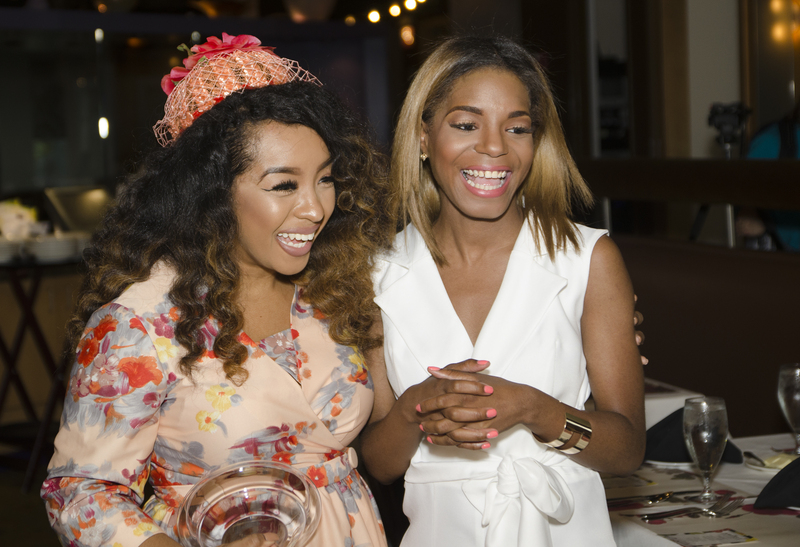 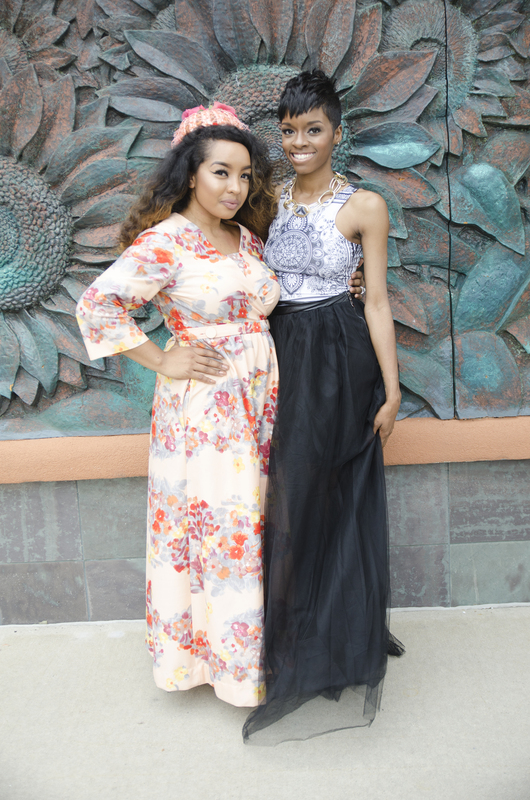 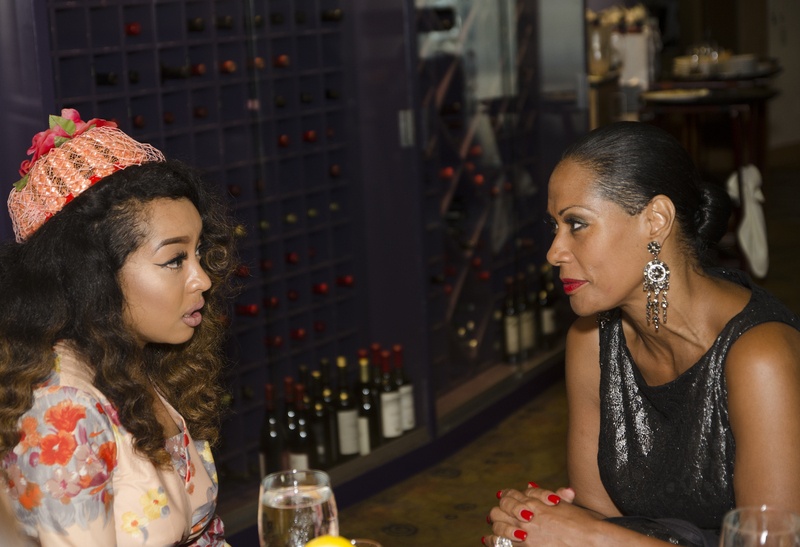 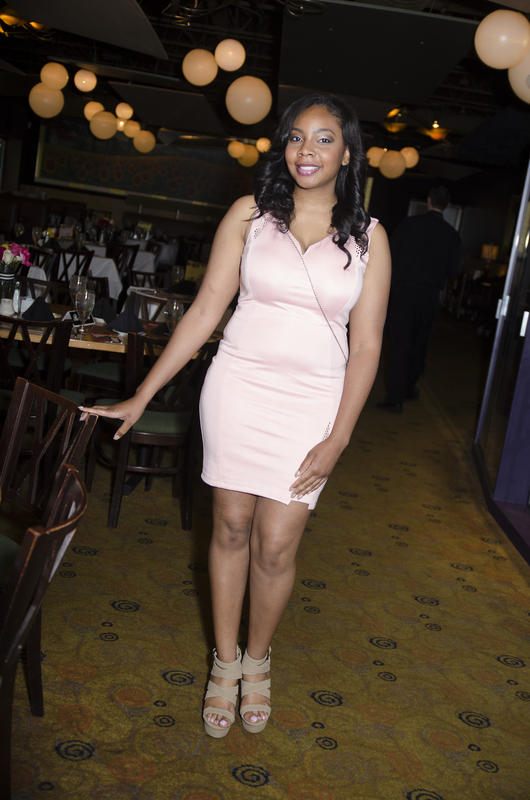 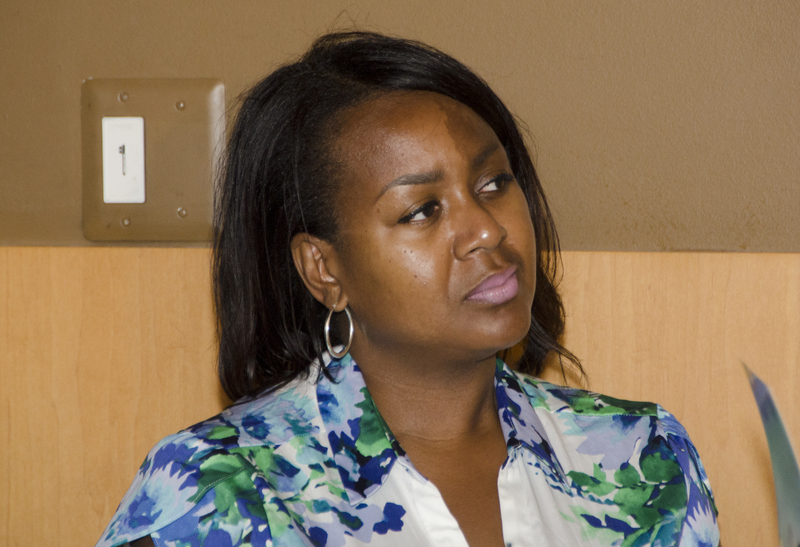 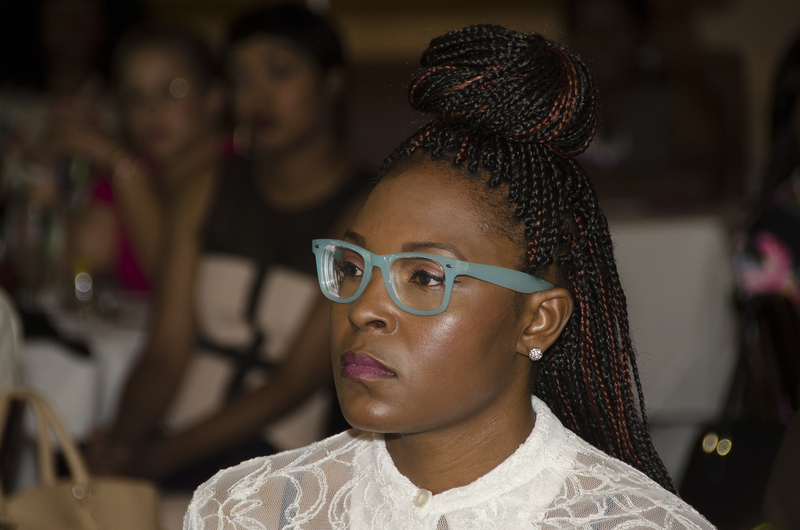 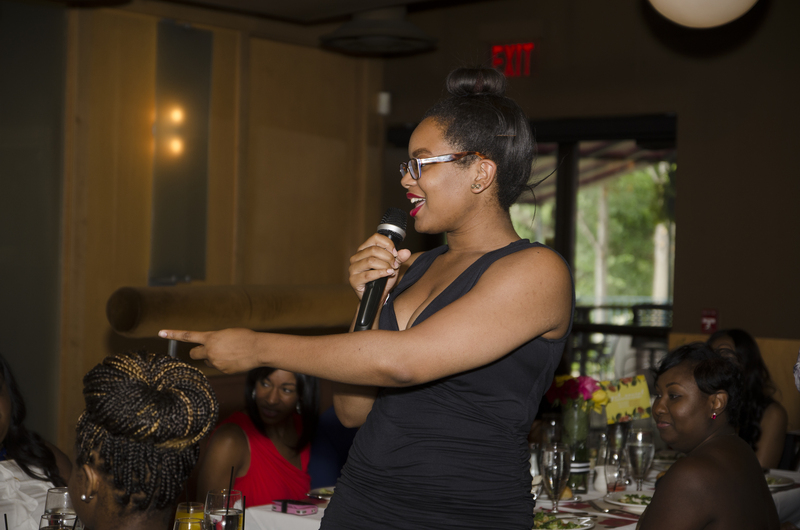 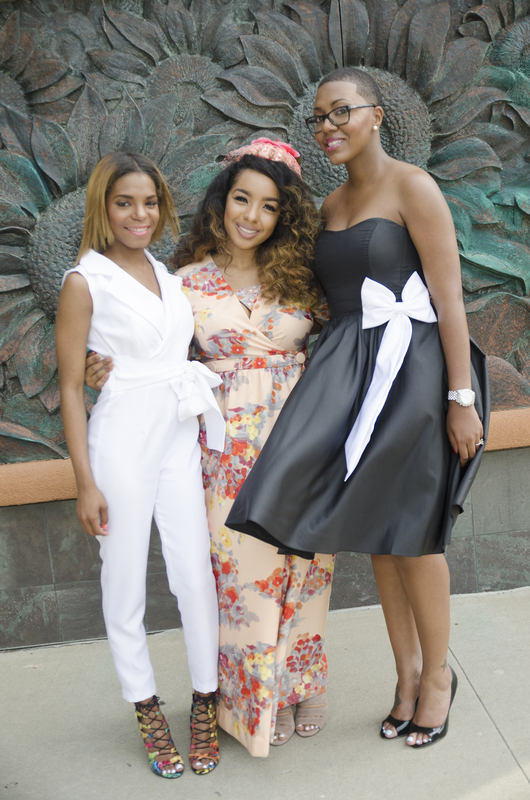 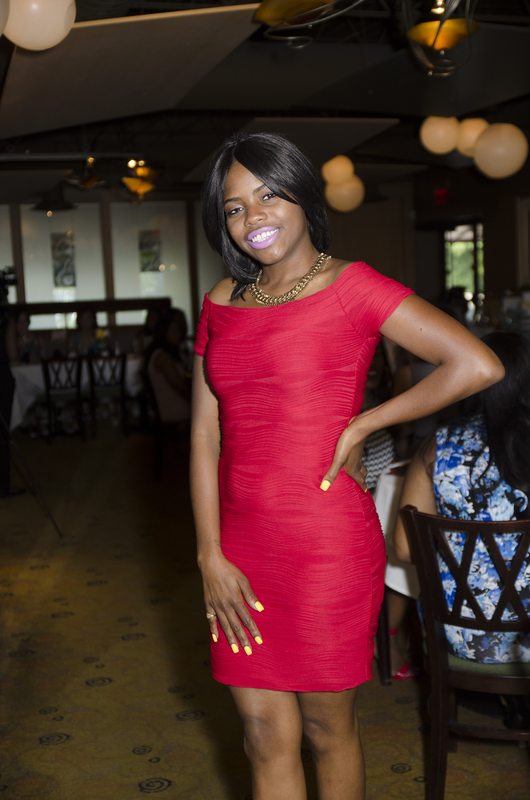 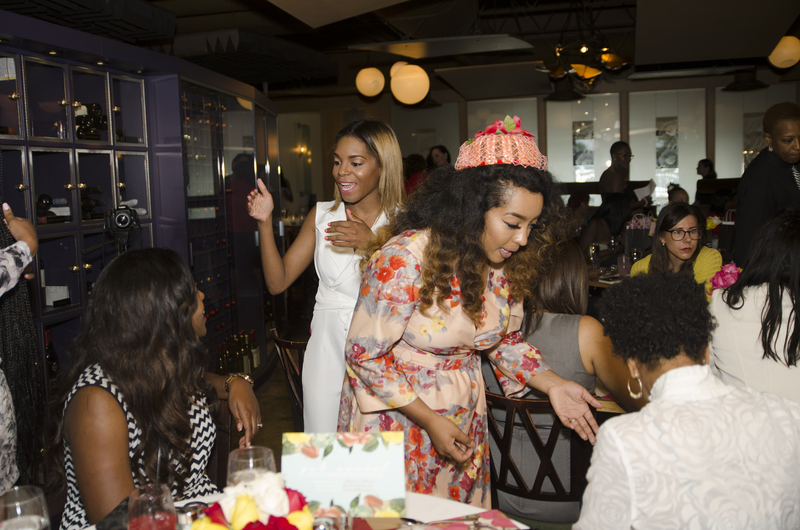 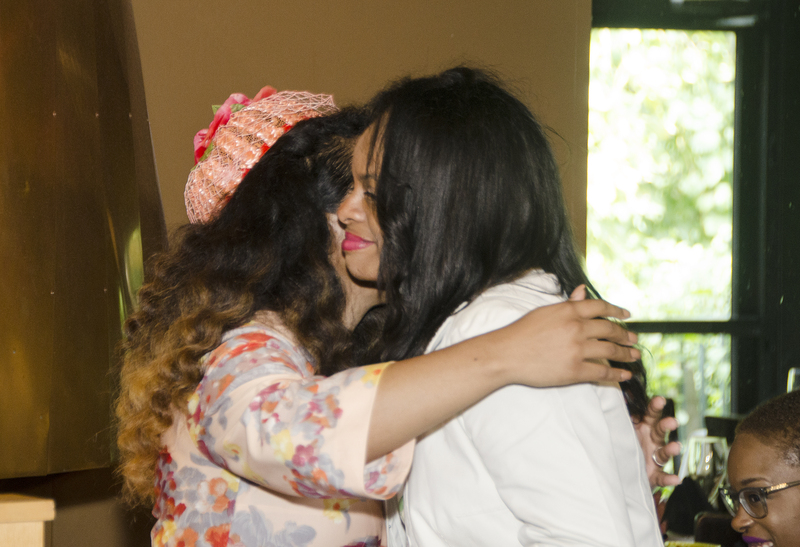 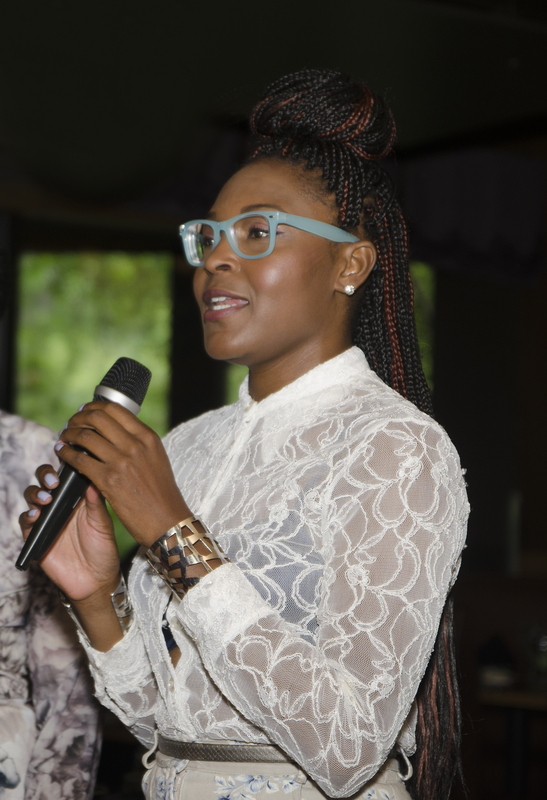 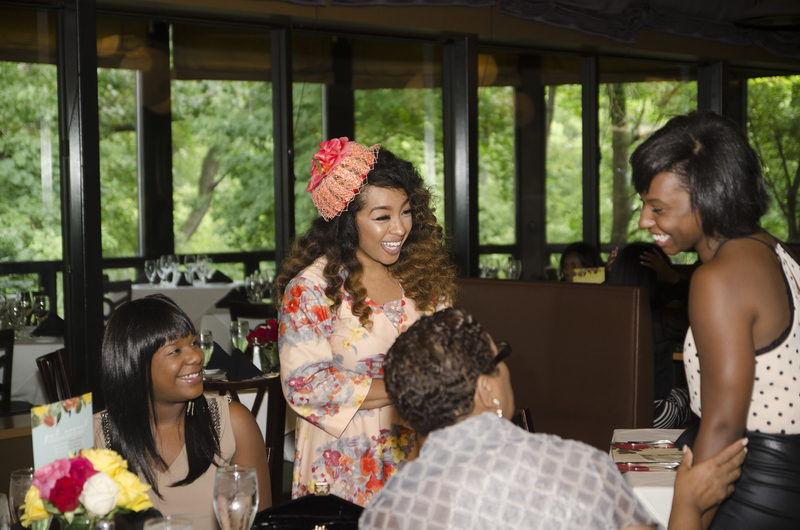 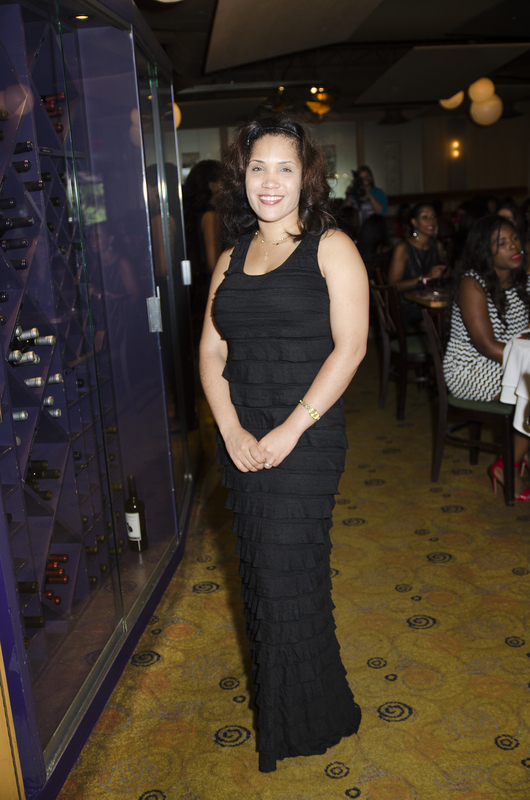 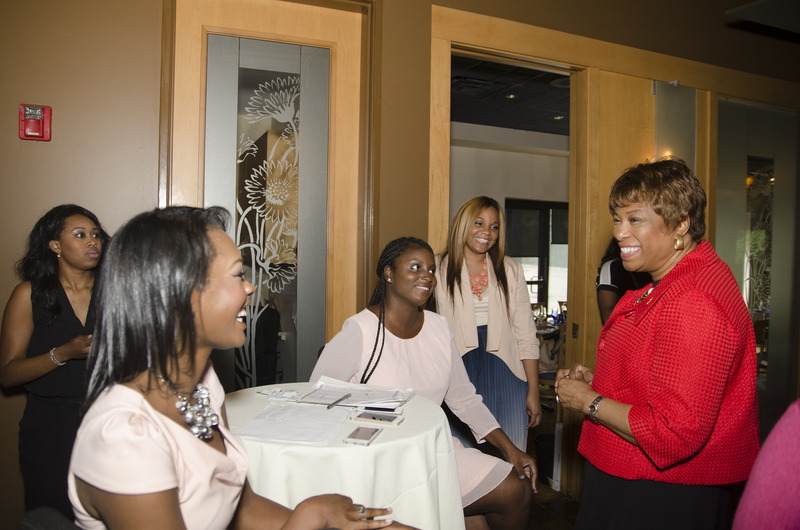 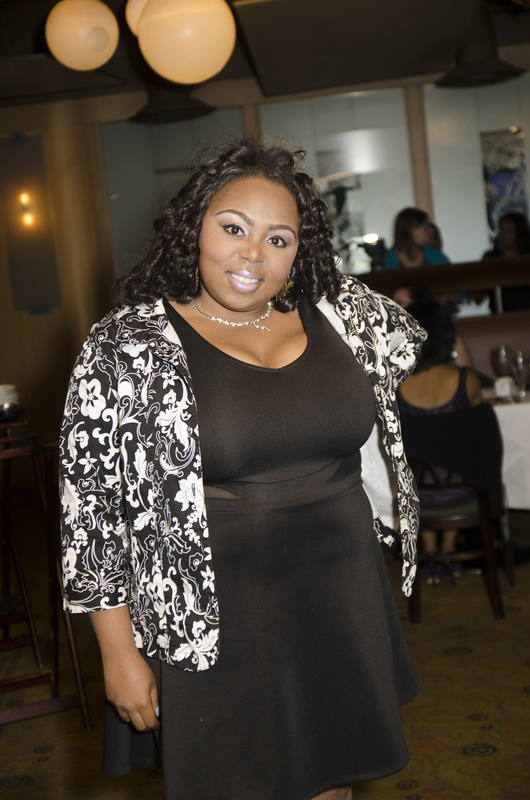 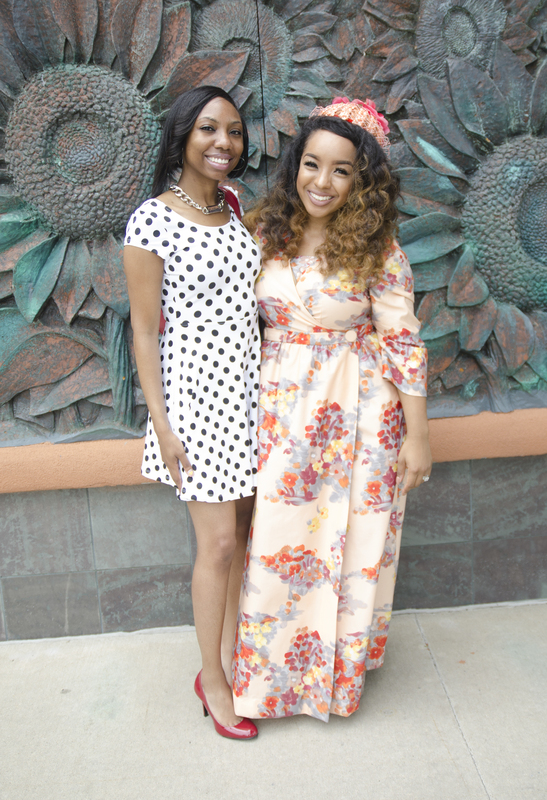 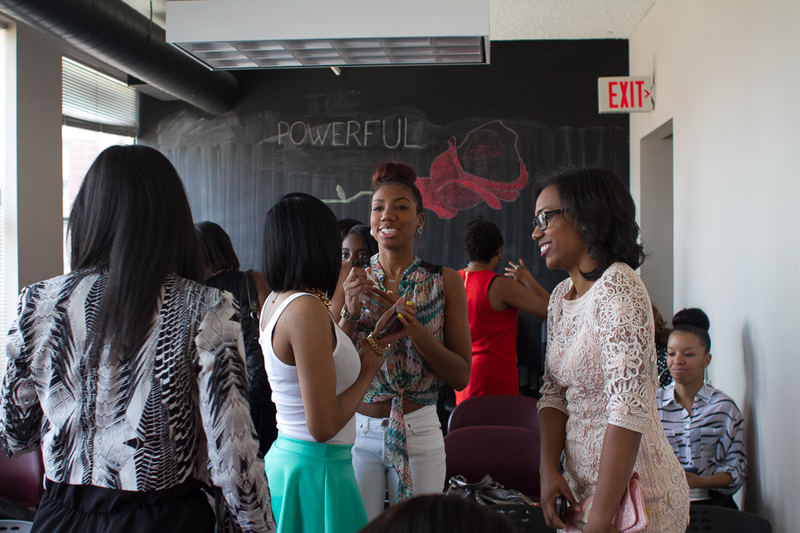 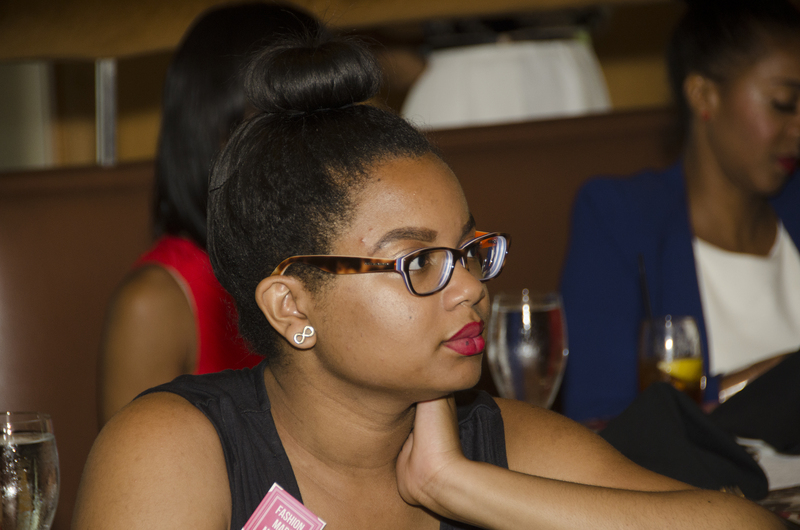 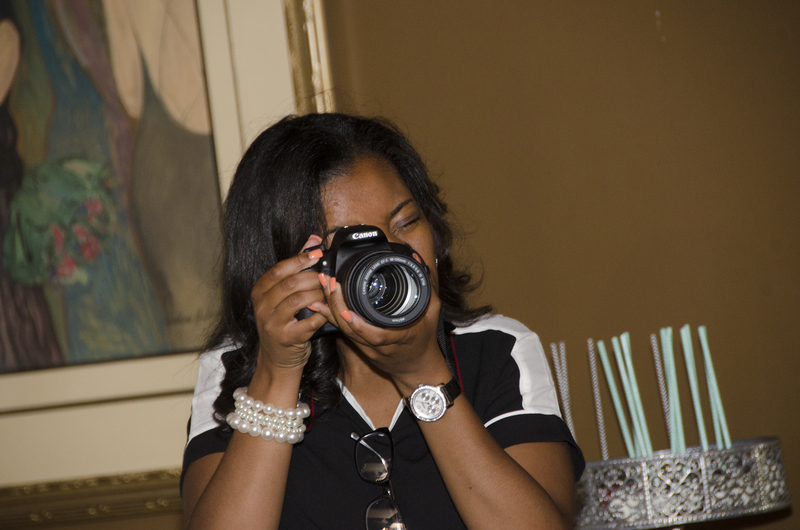 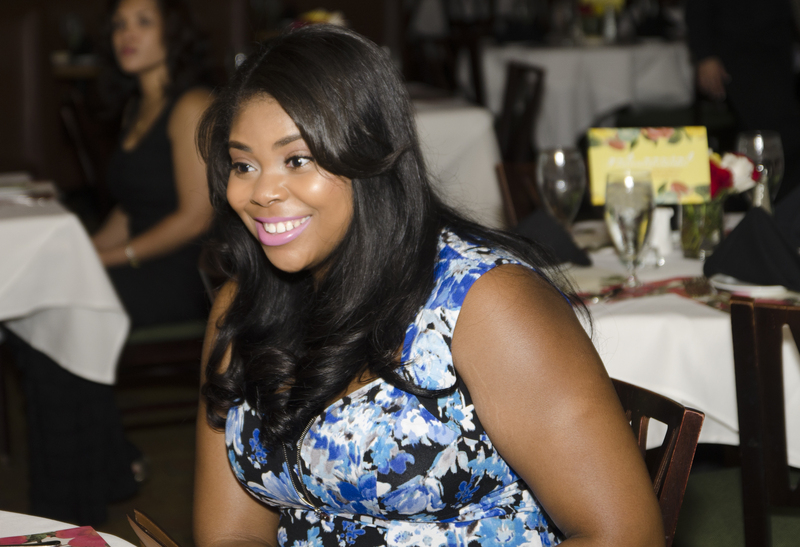 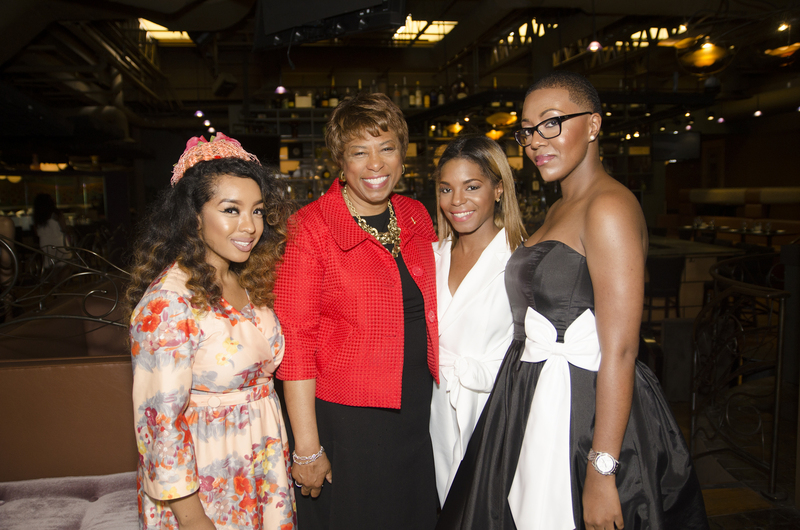 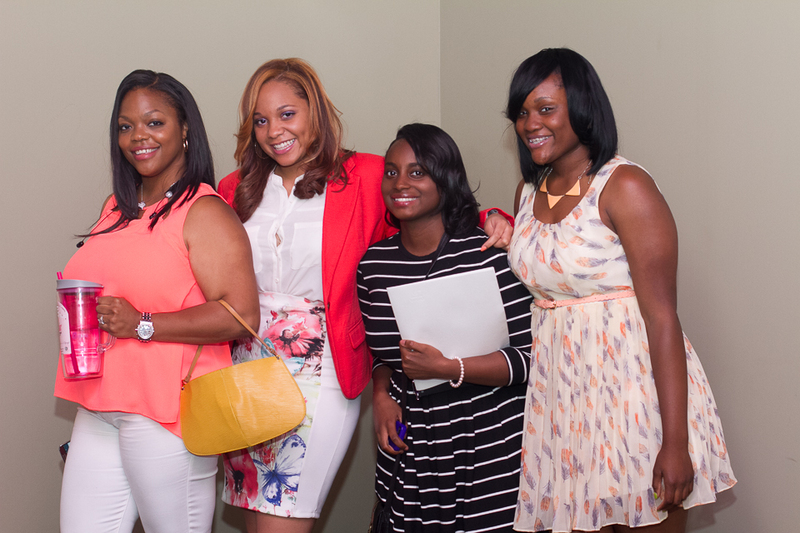 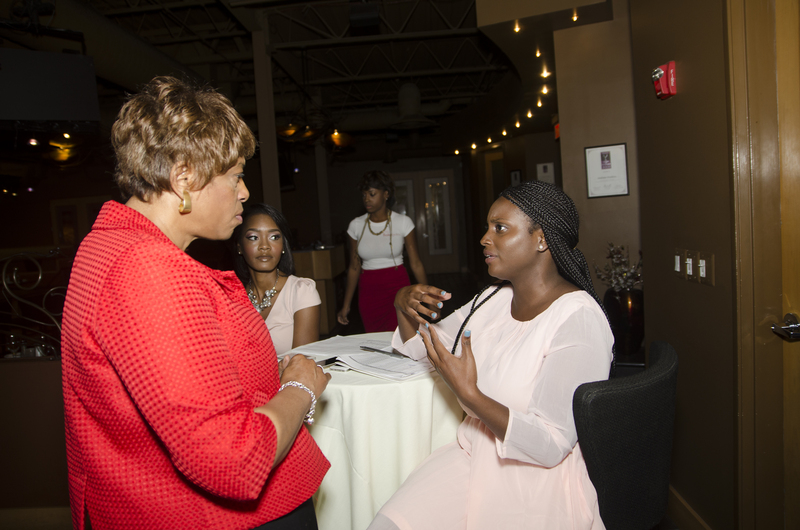 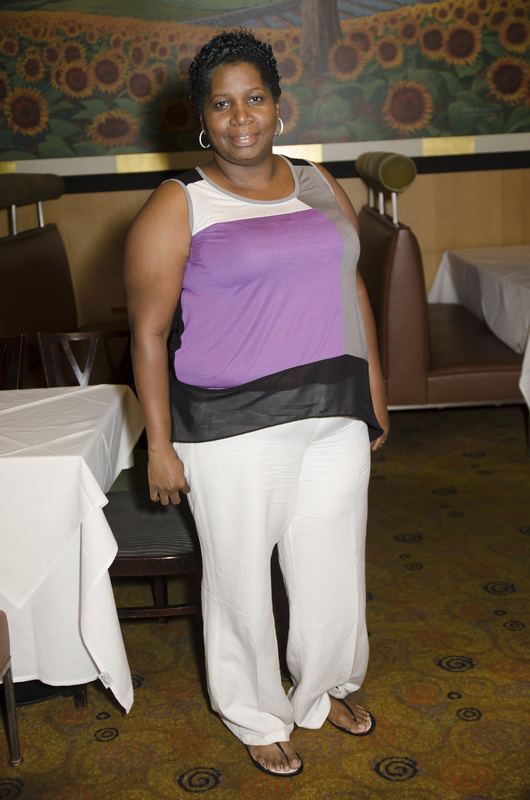 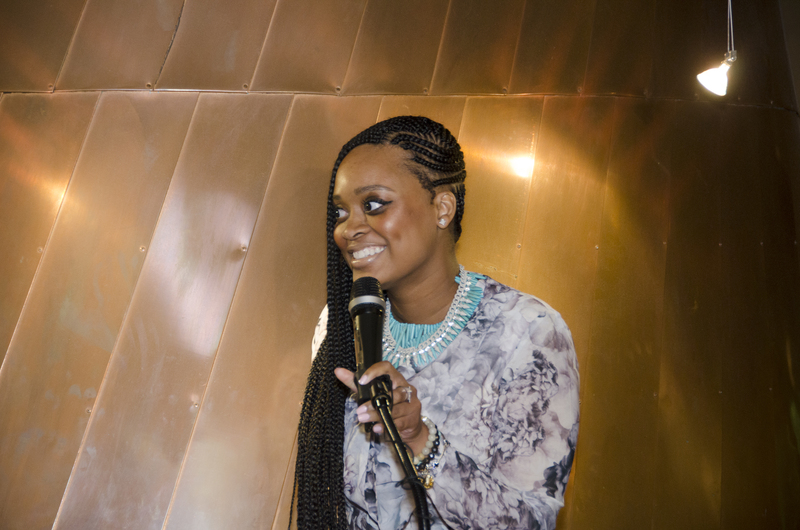 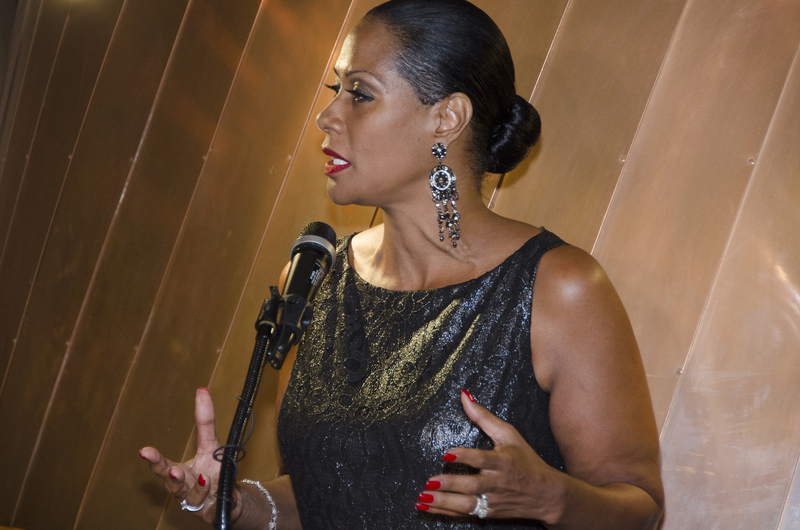 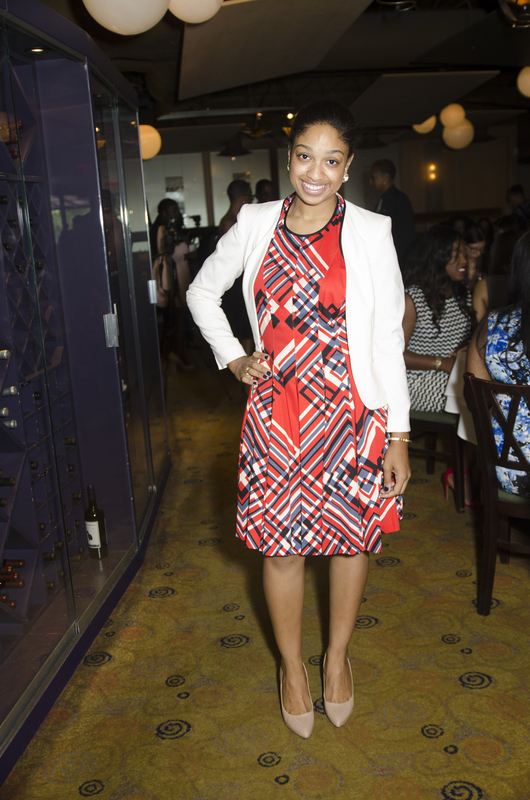 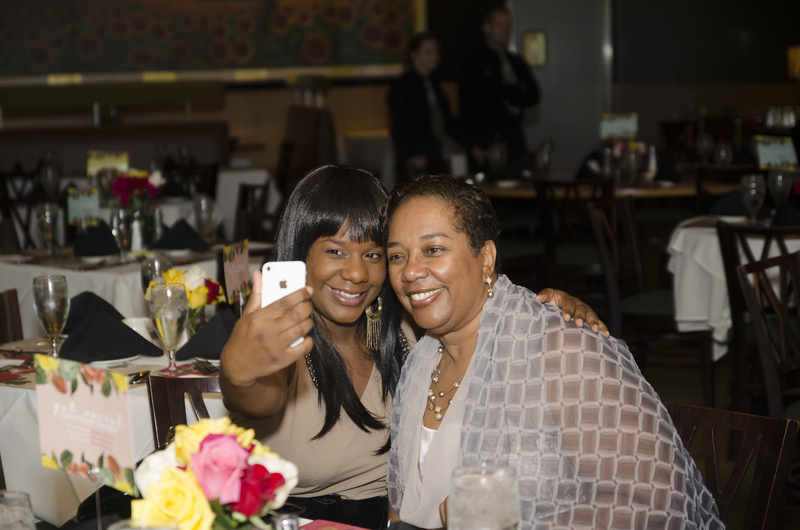 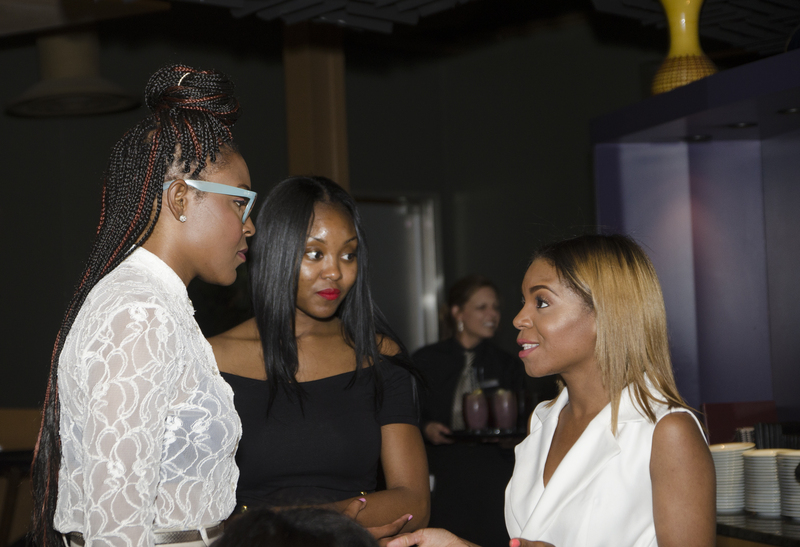 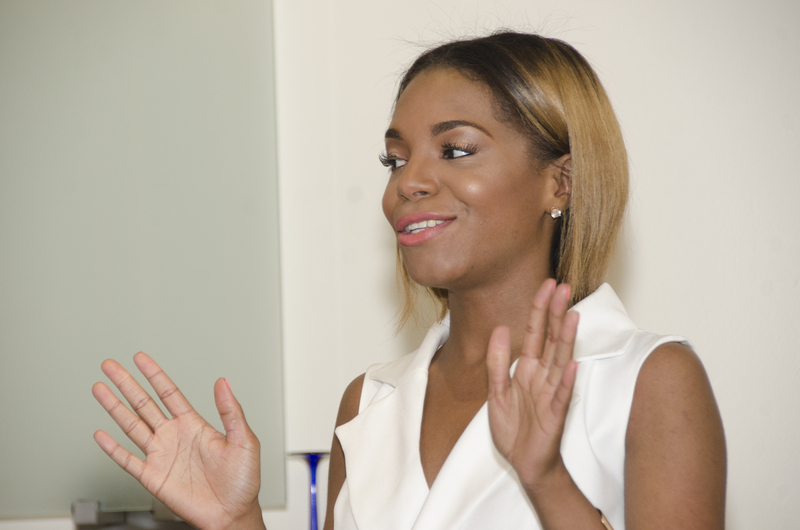 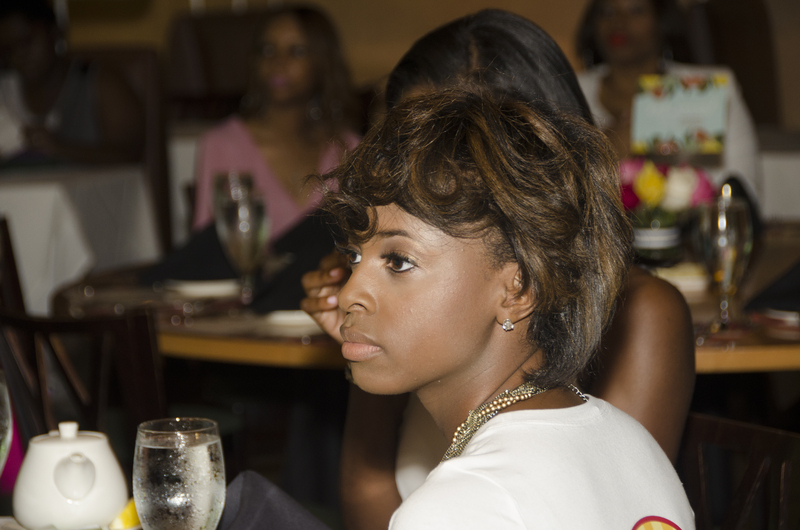 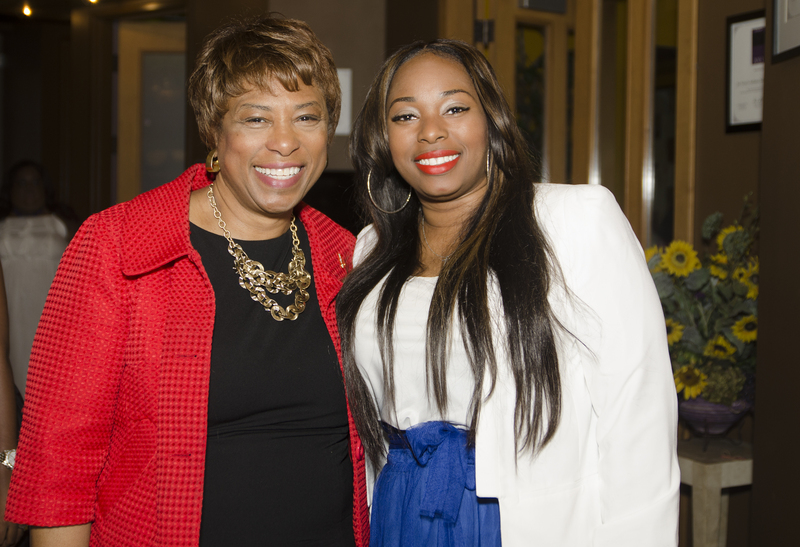 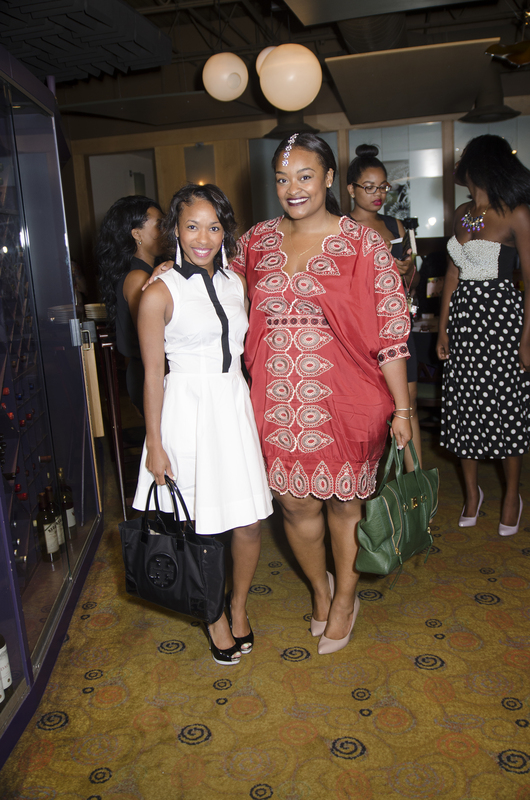 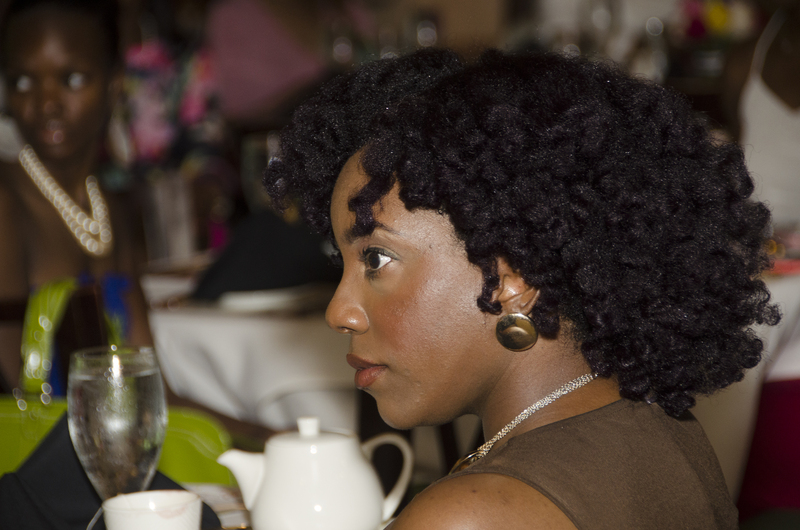 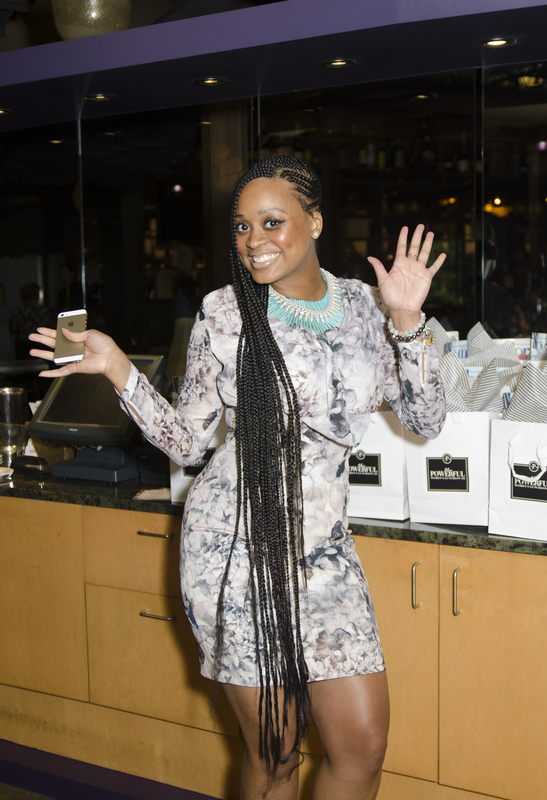 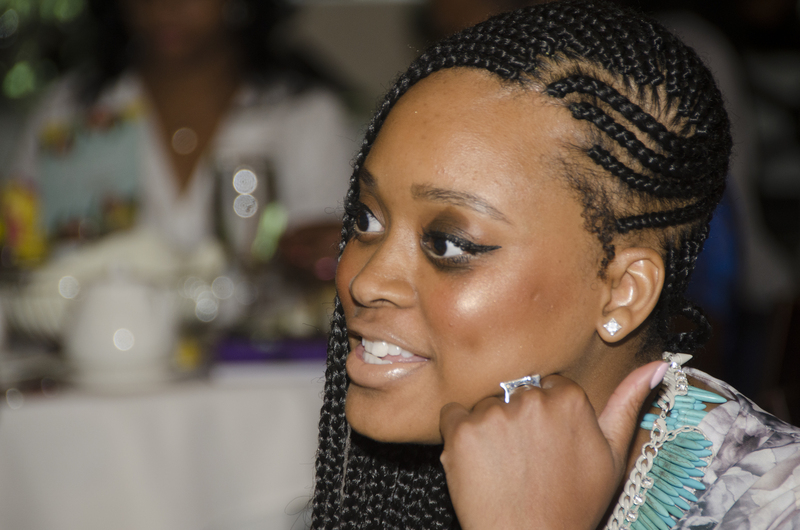 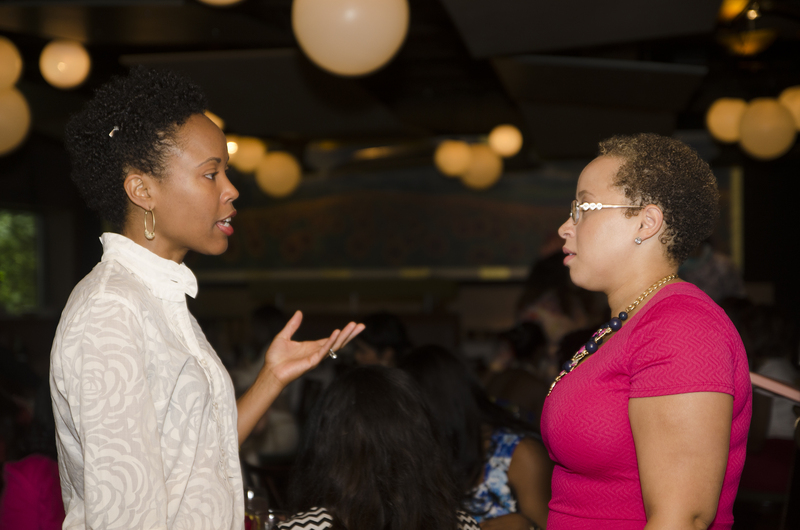 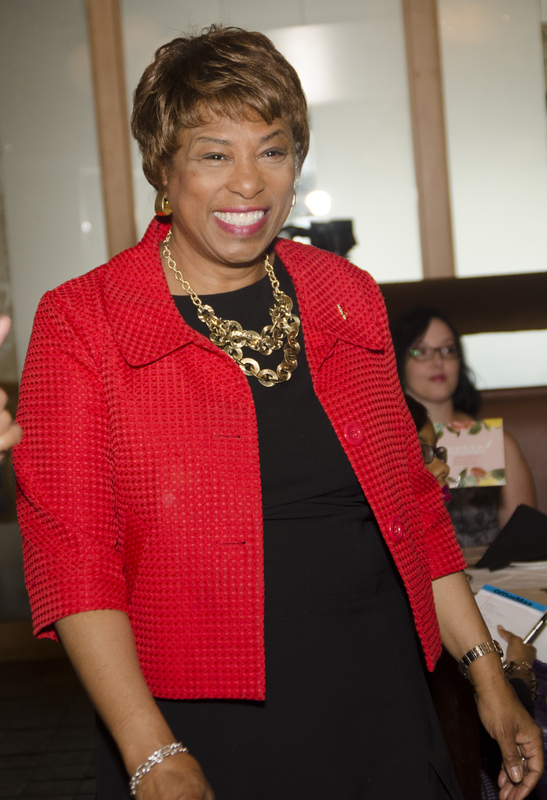 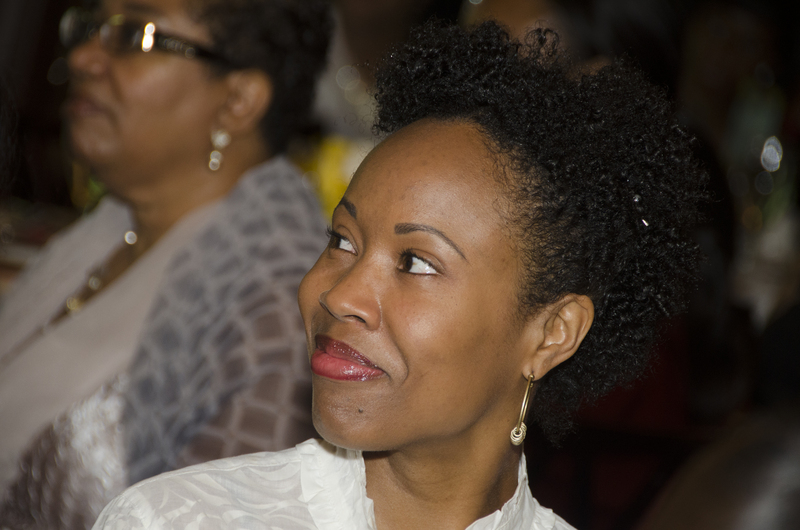 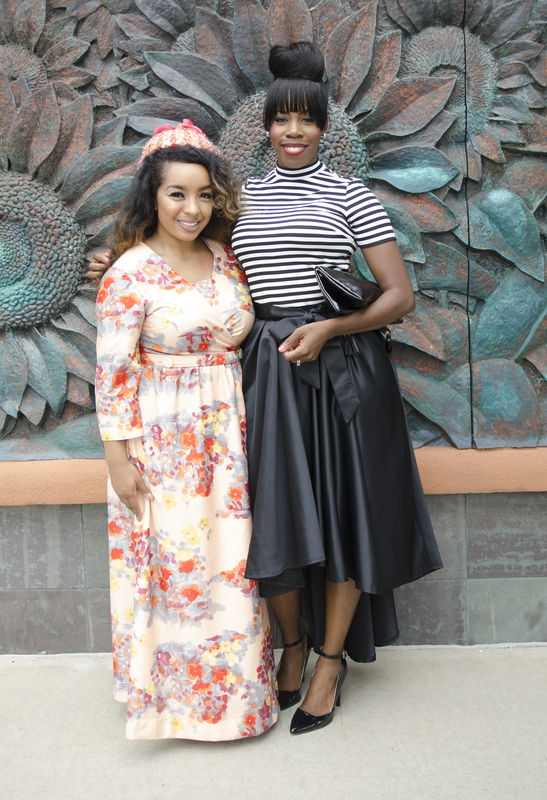 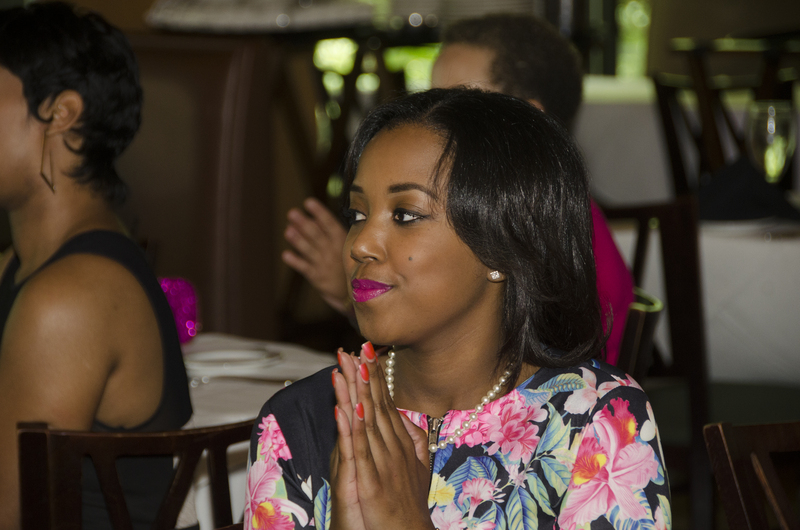 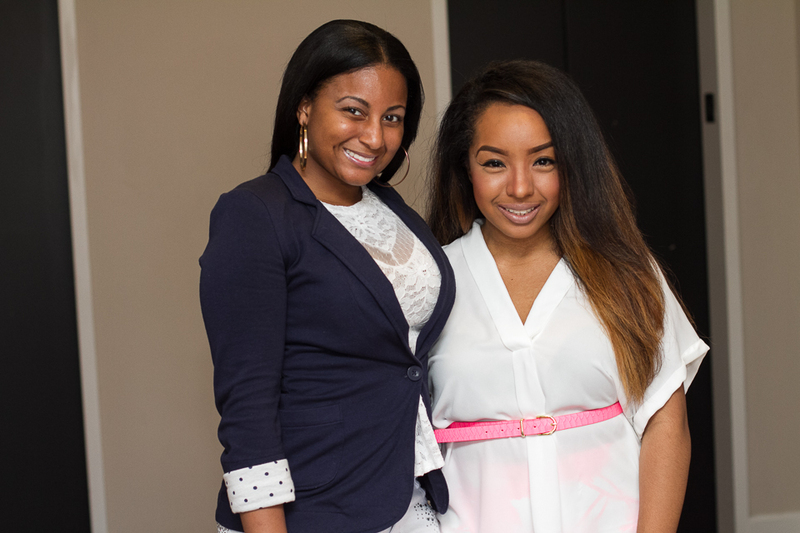 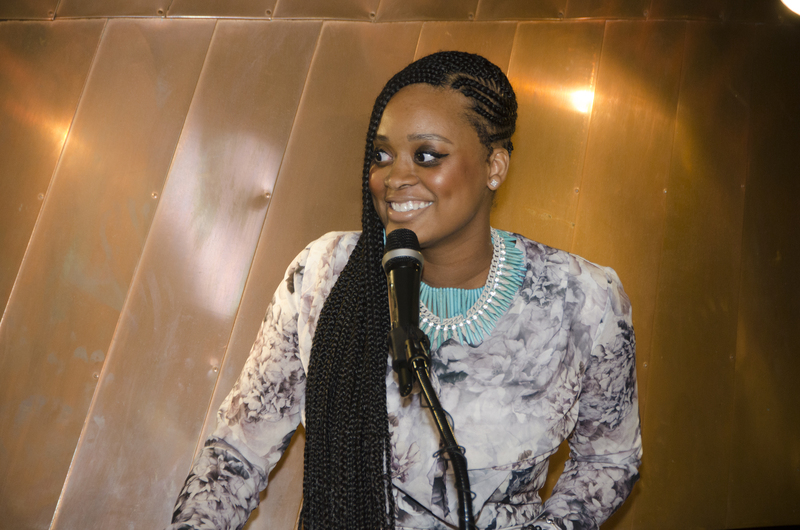 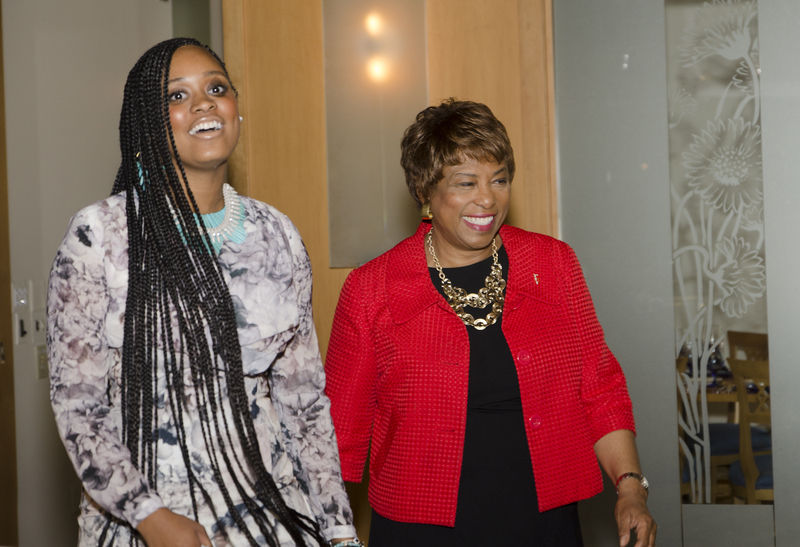 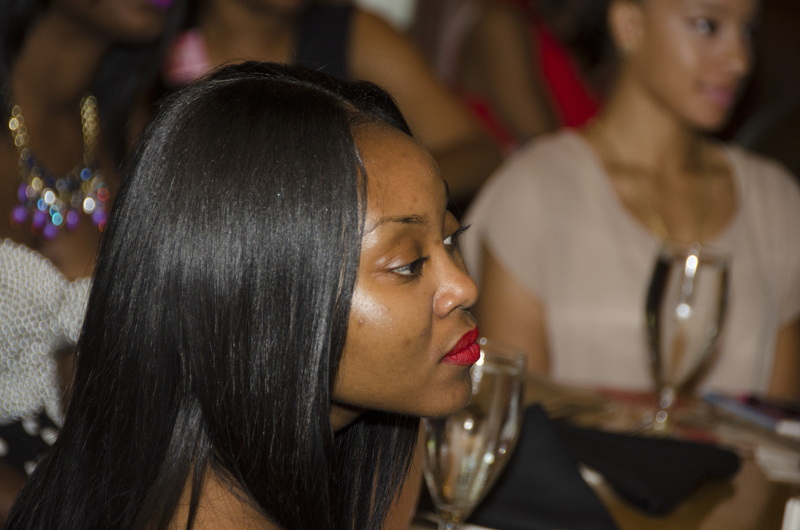 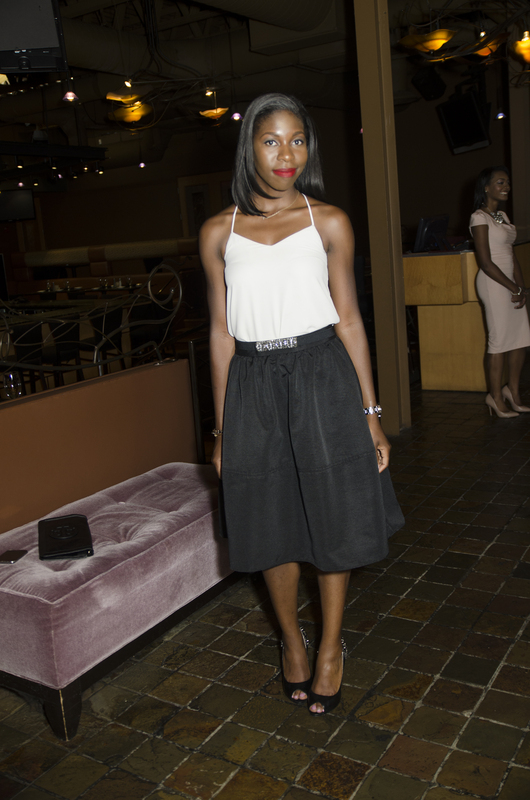 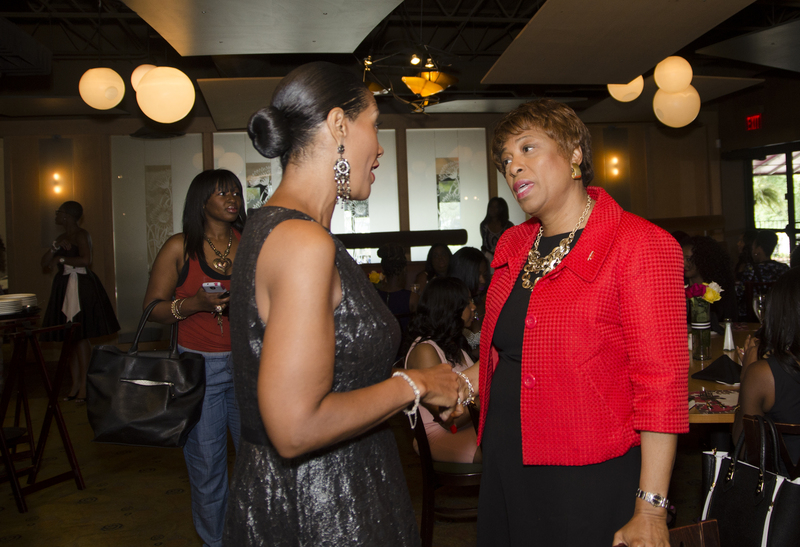 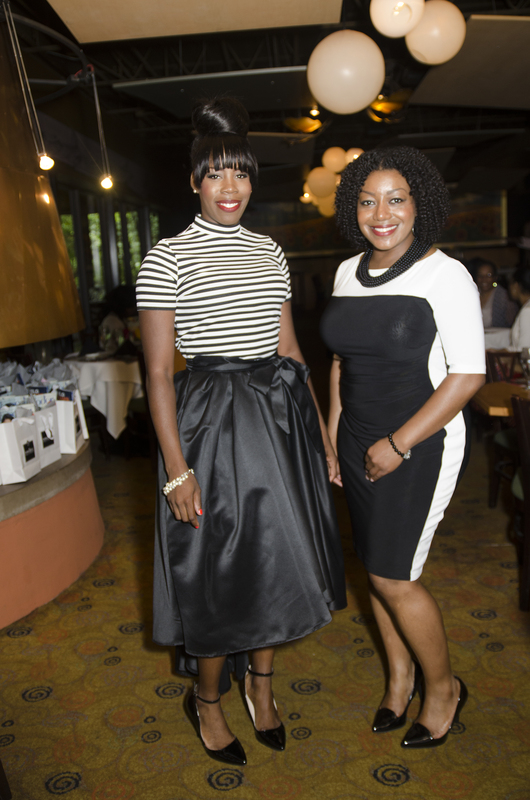 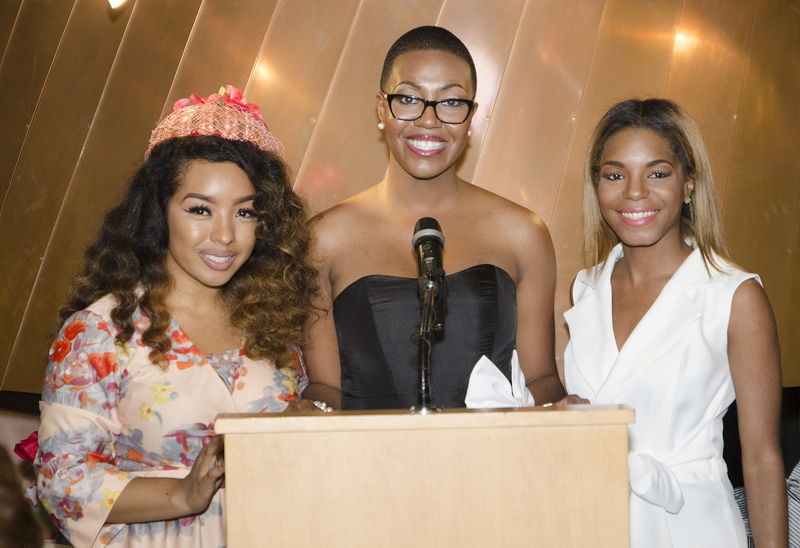 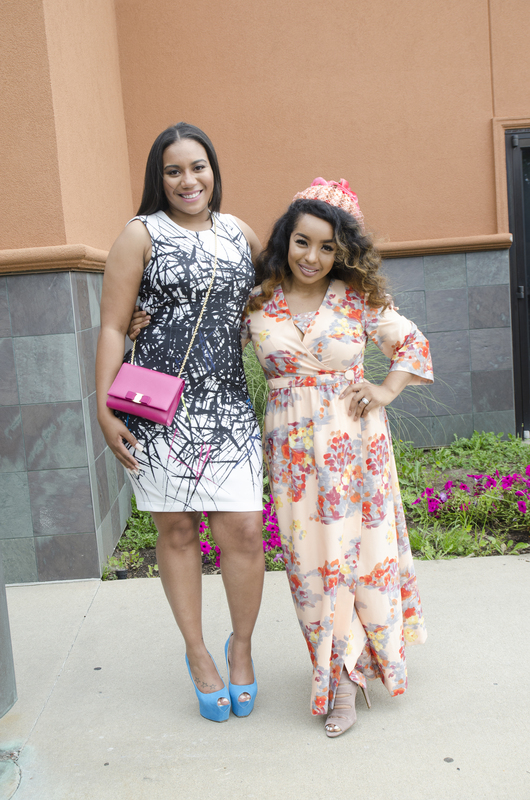 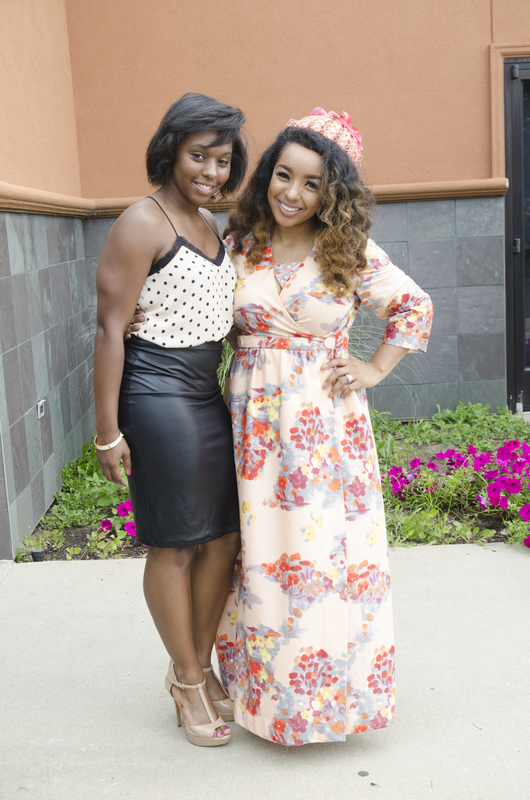 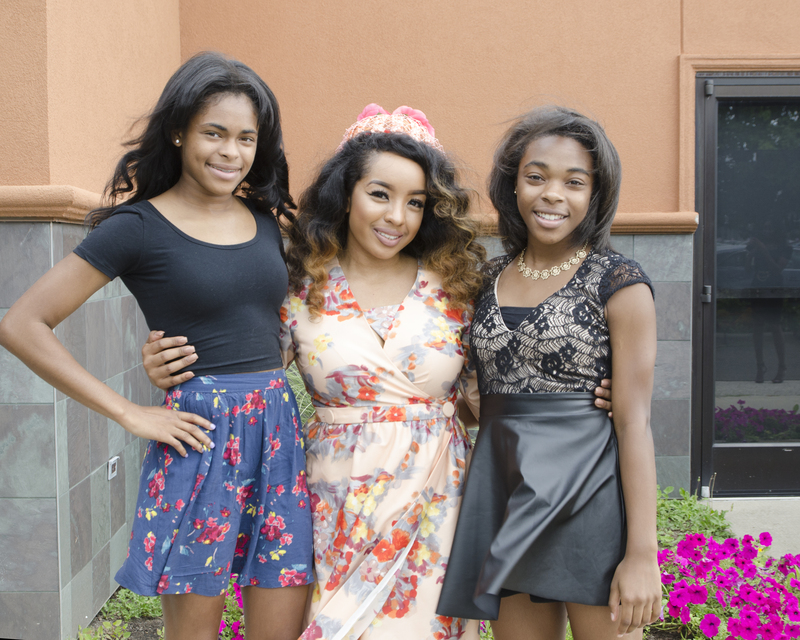 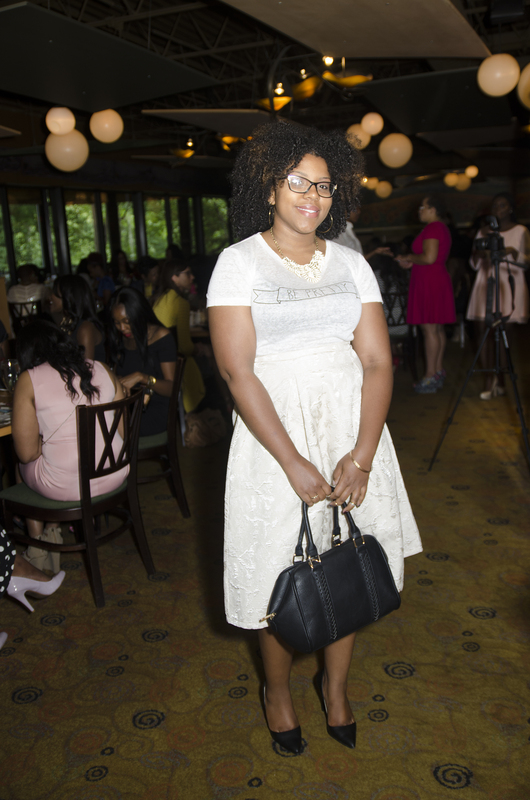 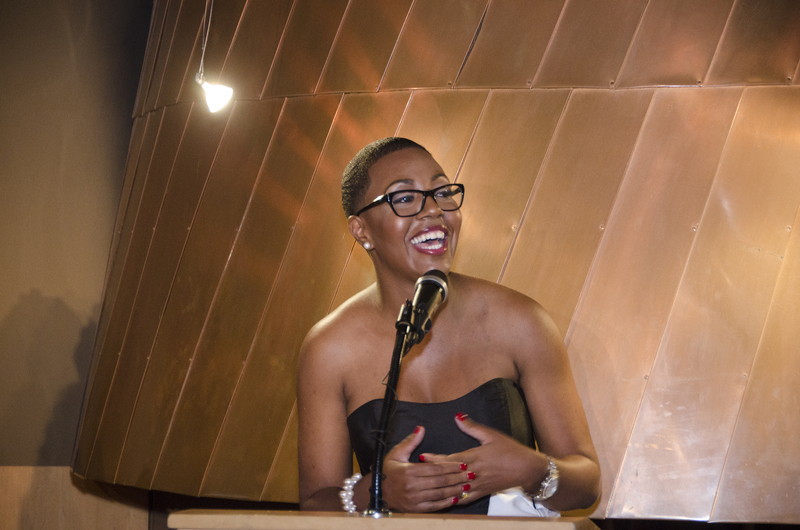 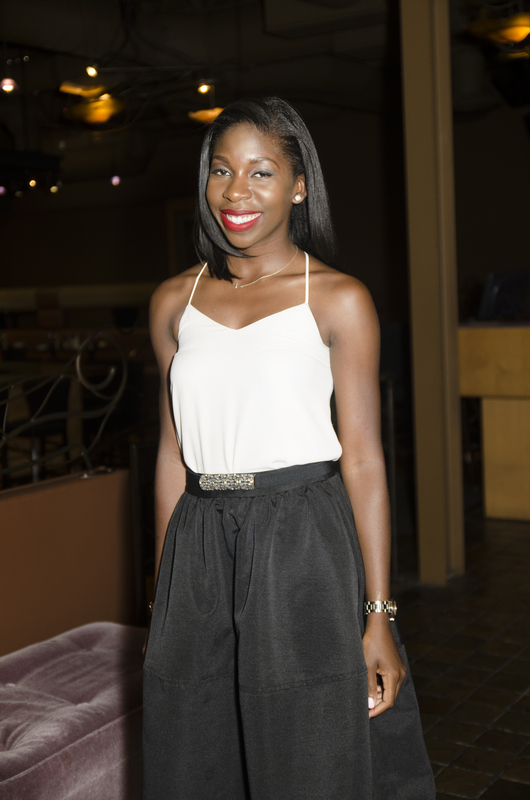 “[The Powerful Women Luncheon] It’s not a trend; it’s a movement” said Brown. 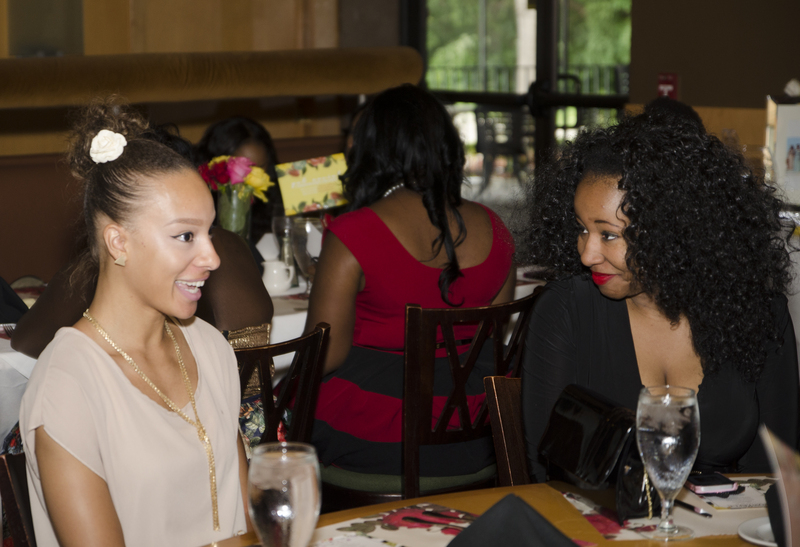 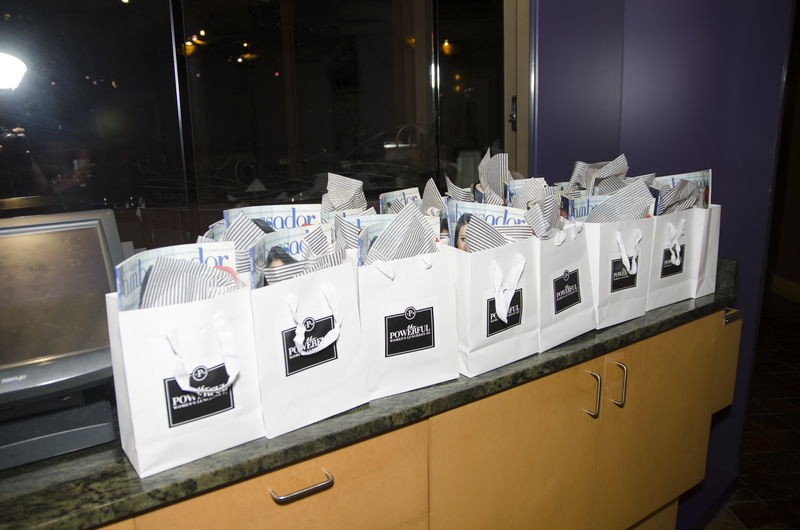 After the introductions, lunch was served with a choice between entrées. 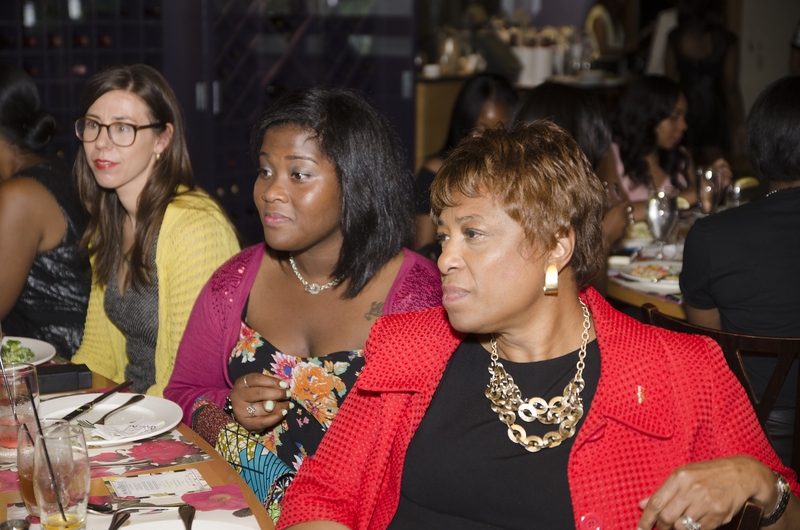 Honorary guest speakers began to speak as everyone enjoyed their lunches and listened intently. 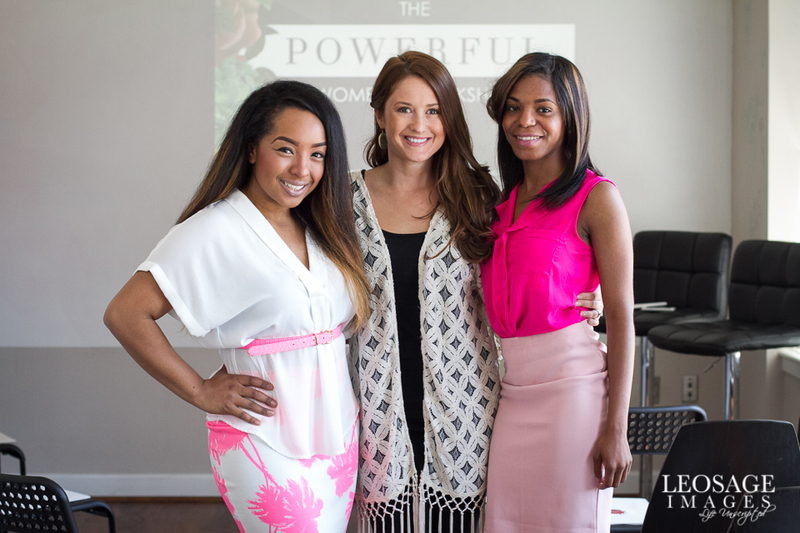 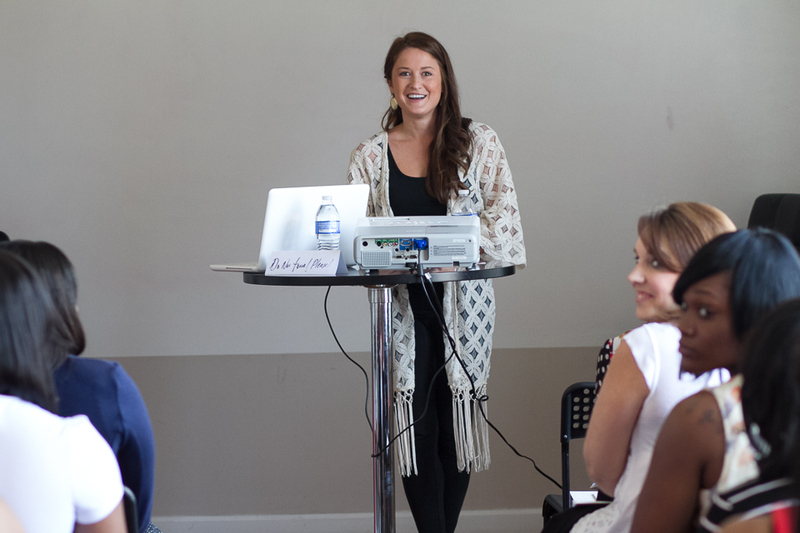 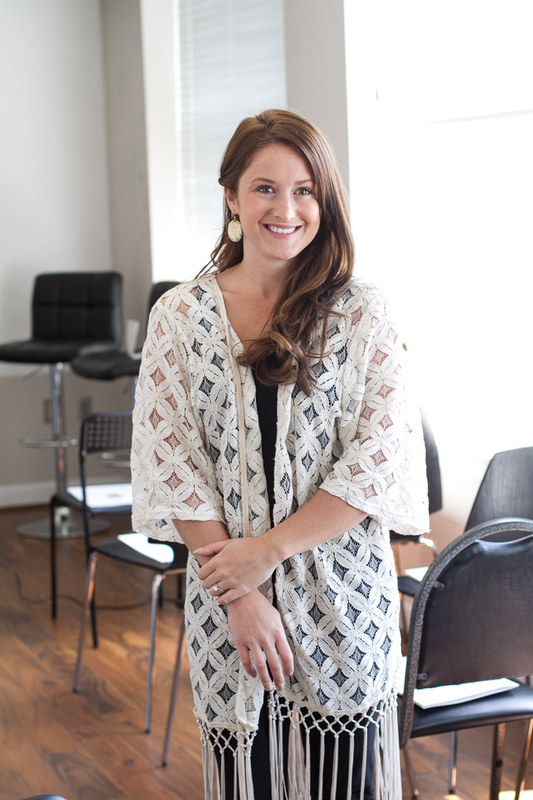 Heather Anne Leavitt from Sweet Heather Anne Bakery, Monica Morgan, and Brenda Lawrence spoke openly and eloquently about experiences that have made them stronger and what it means to be a powerful woman. 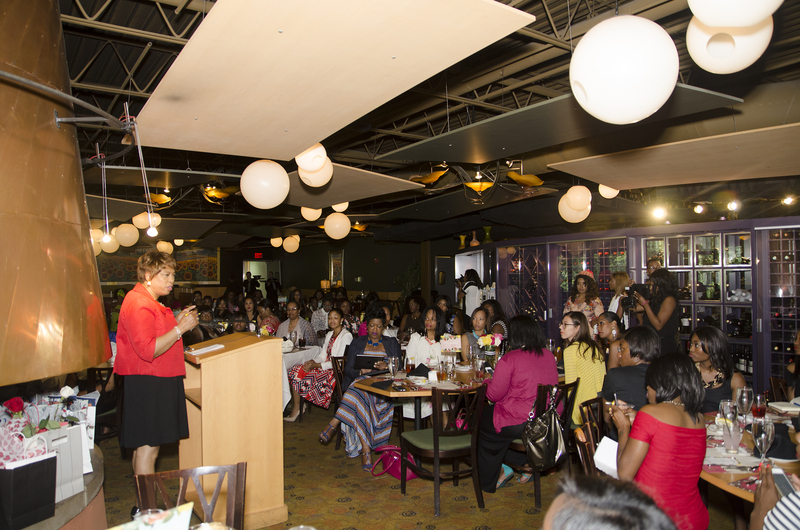 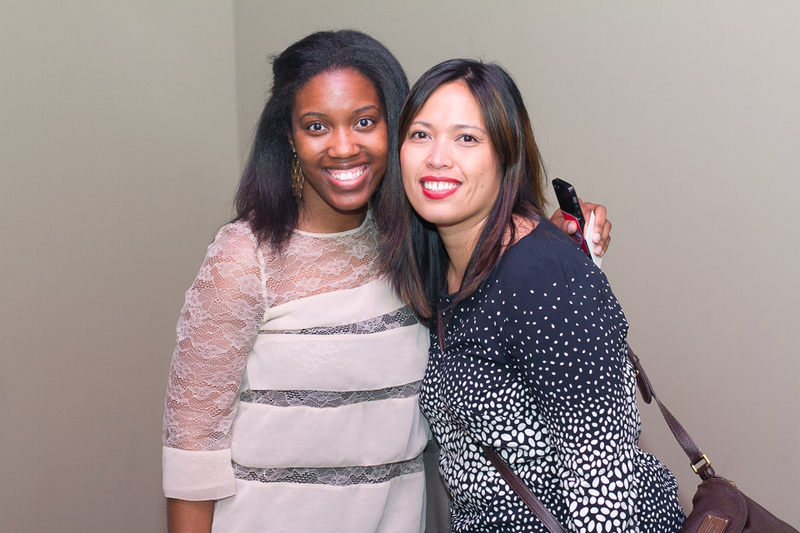 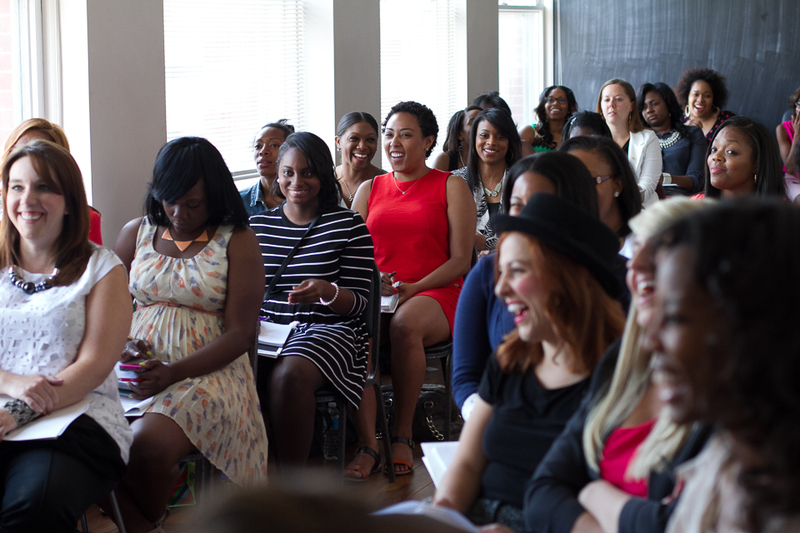 The speeches were uplifting and an inspiring way to motivate the women in the room. 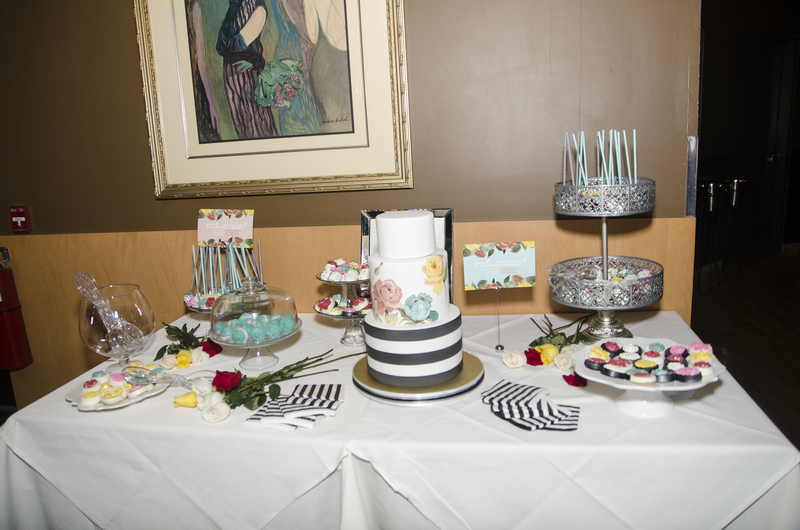 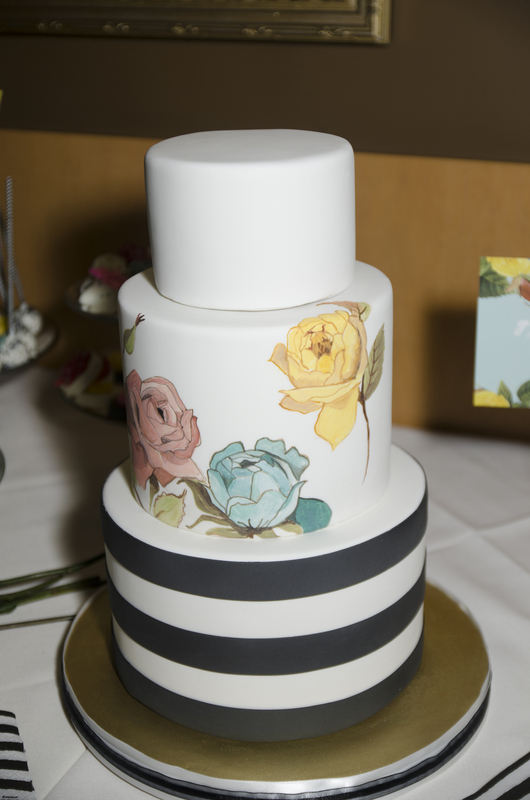 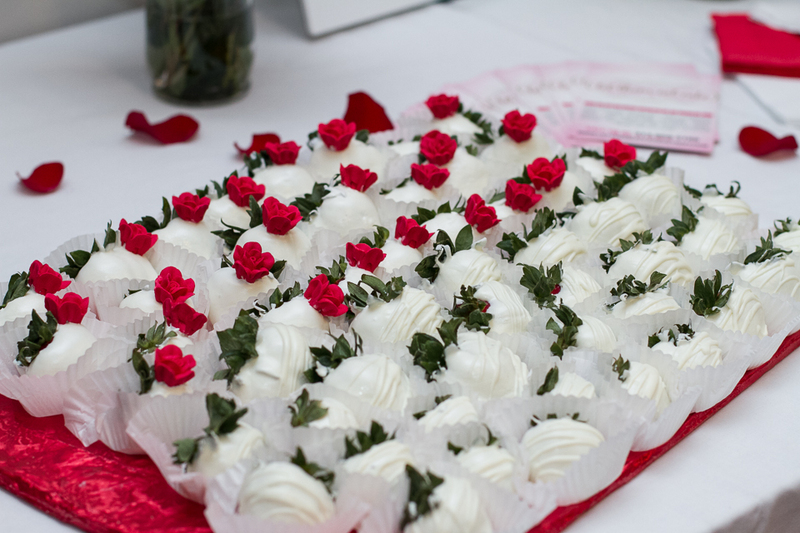 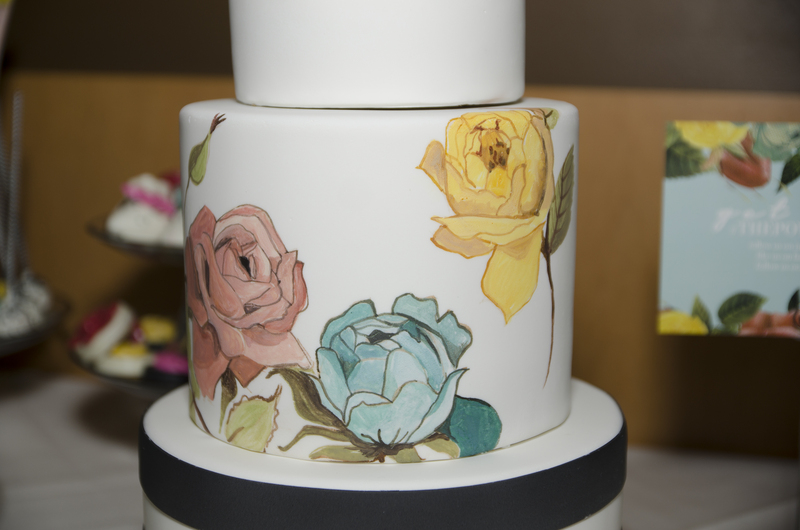 The luncheon wrapped up with a poem titled Q.U.E.E.N.S ptII, round table discussions giveaways, cake by Sweet Heather Anne Bakery, desserts from Let Them Eat Cake and a group photo outside of Andiamo’s that brought everyone together. 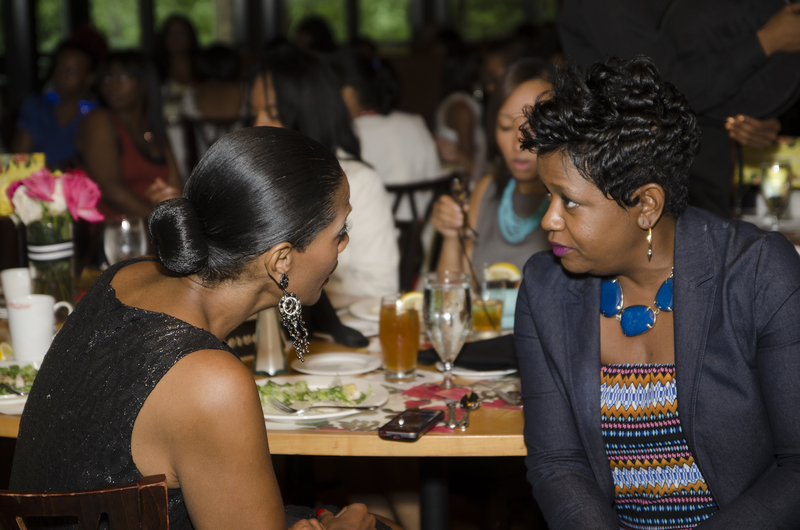 Overall, The Powerful Women luncheon was the perfect setting for women of various backgrounds to gather and inspire one another in a positive atmosphere. 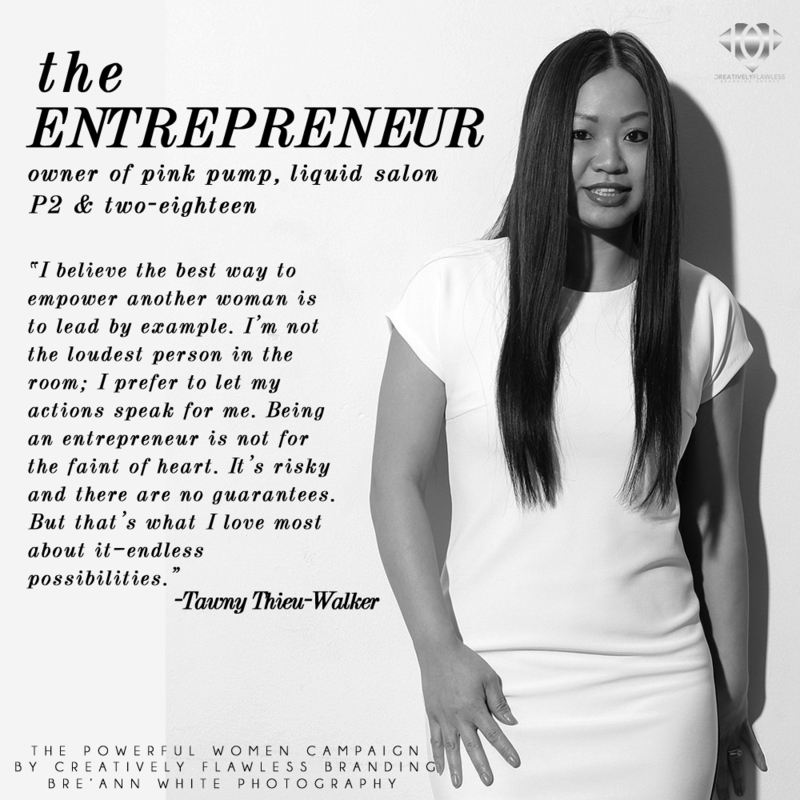 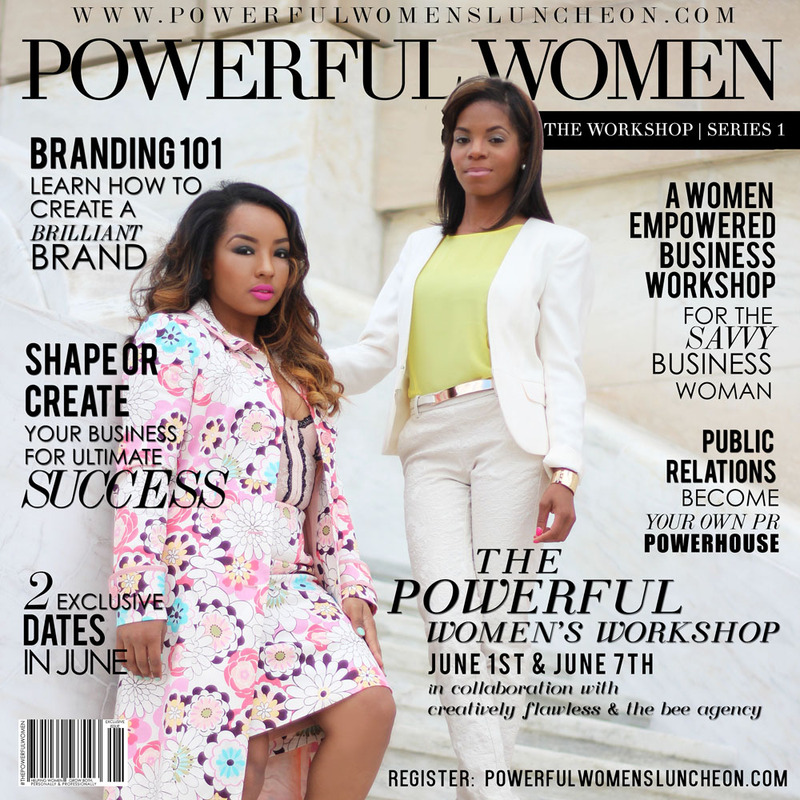 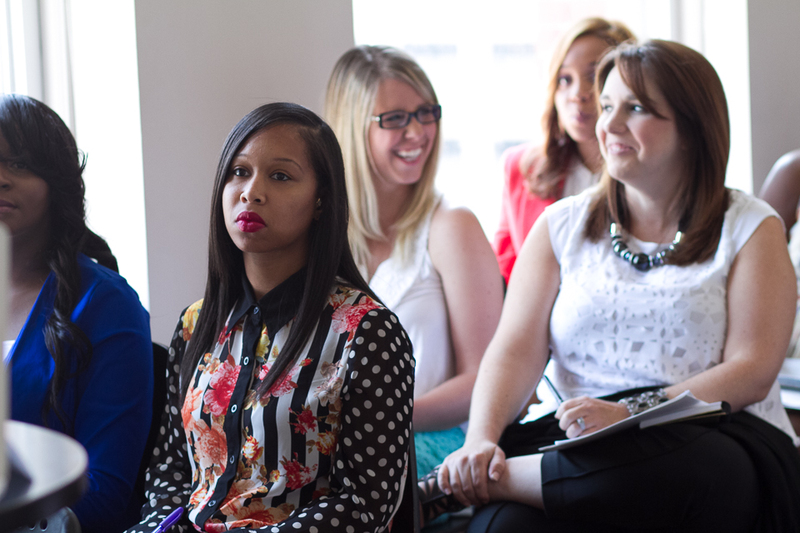 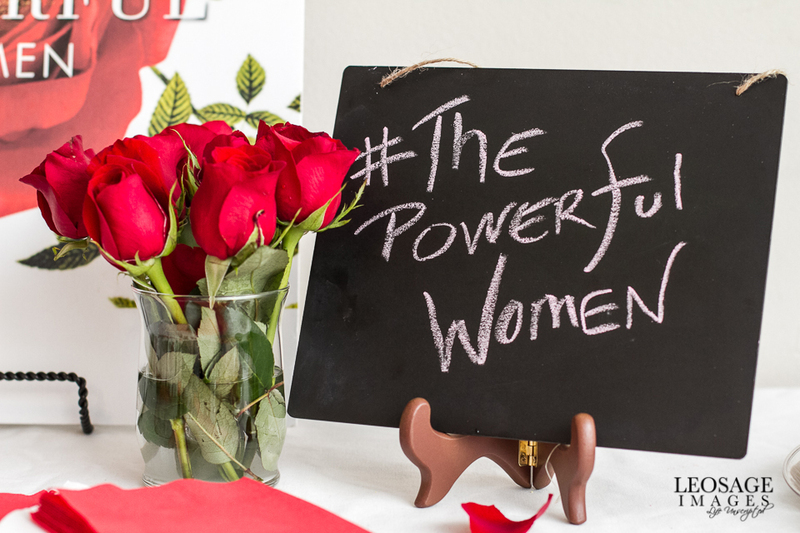 The Powerful Women Campaign was crafted to empower women of all professions. 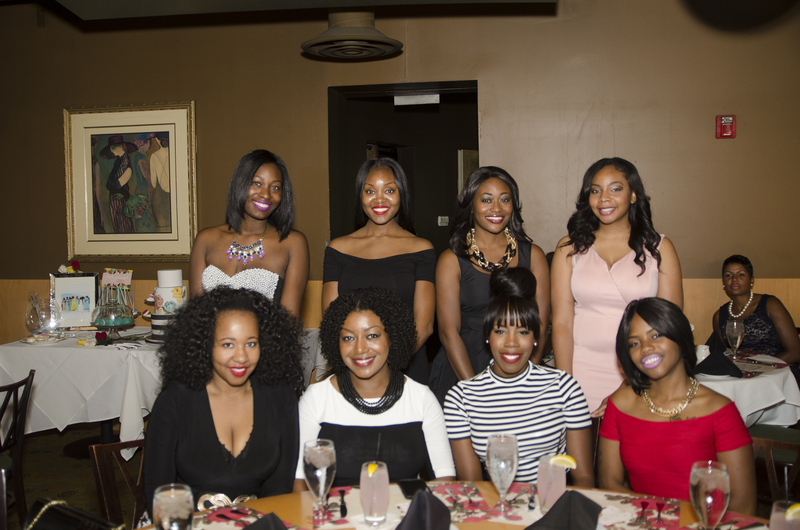 Not only can women be beautiful and feminine, but intelligent and excel in what they do. 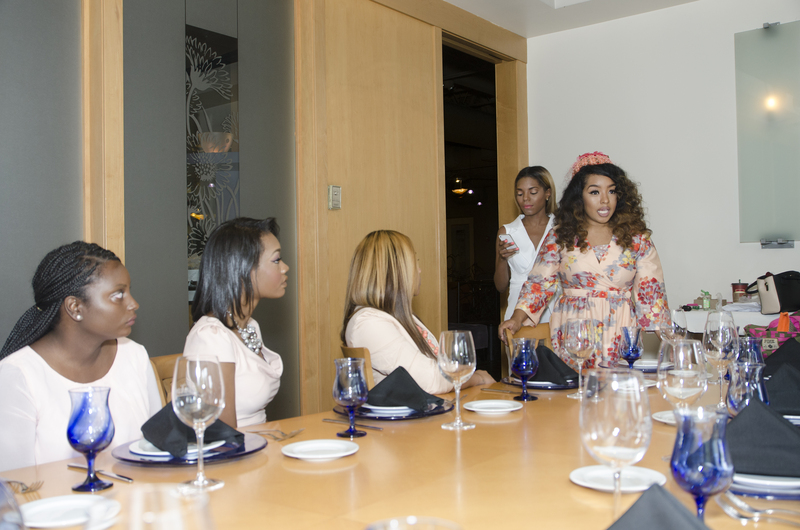 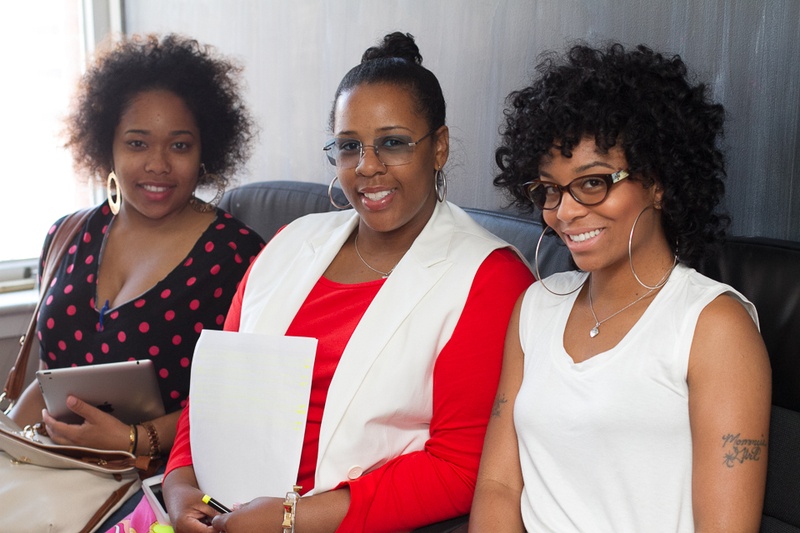 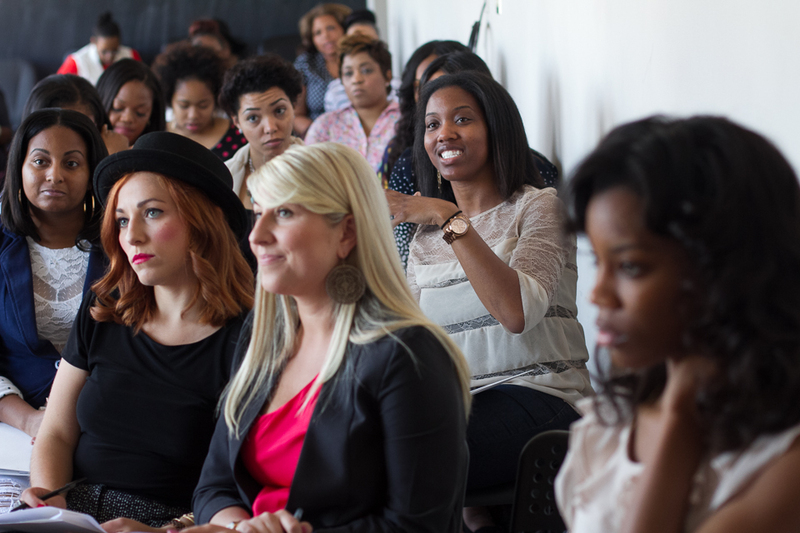 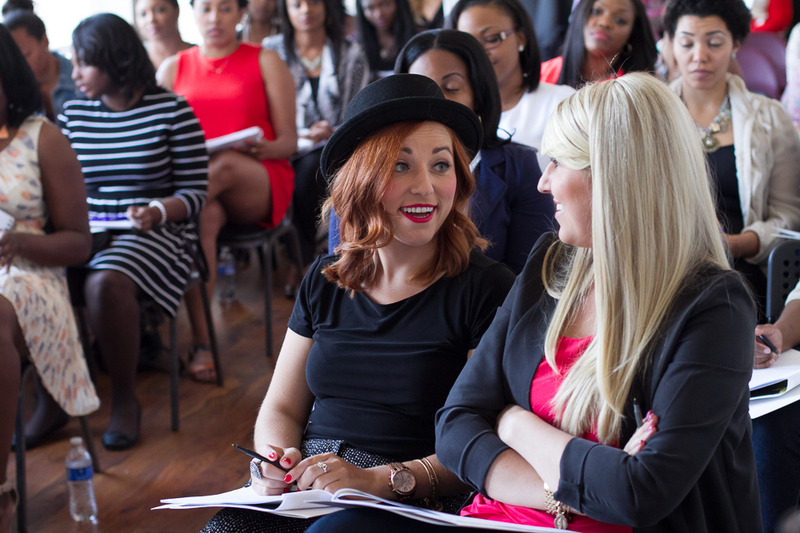 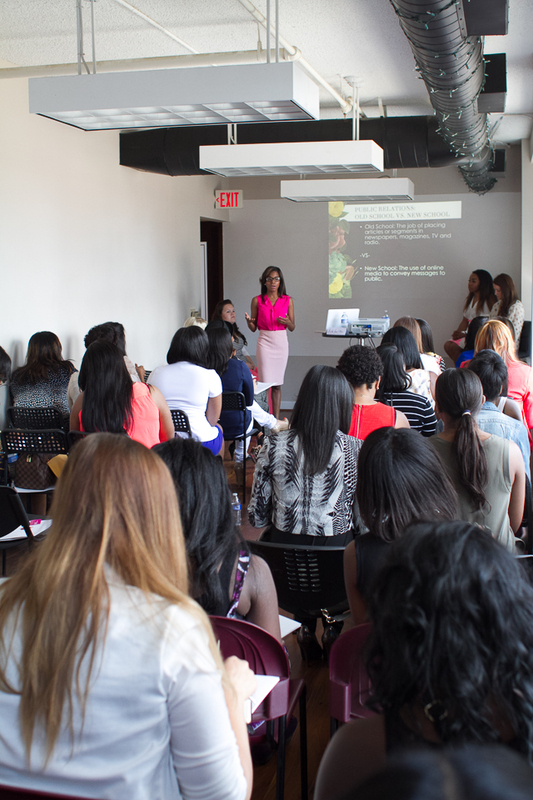 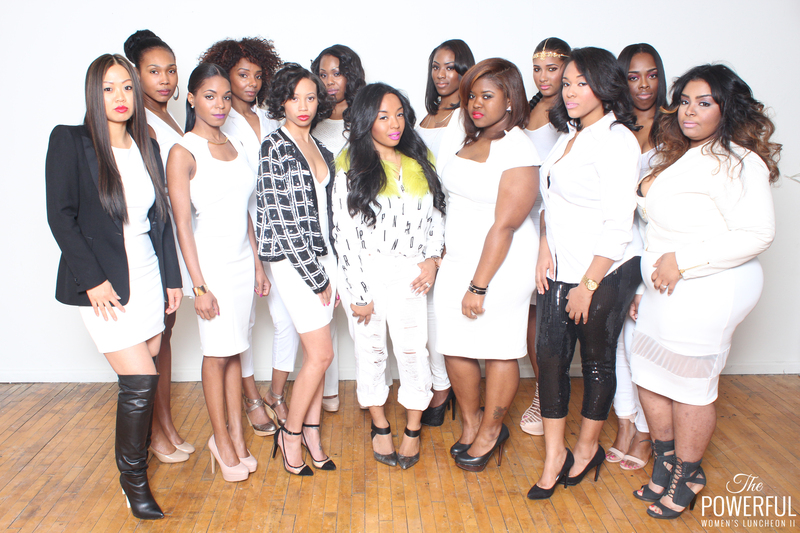 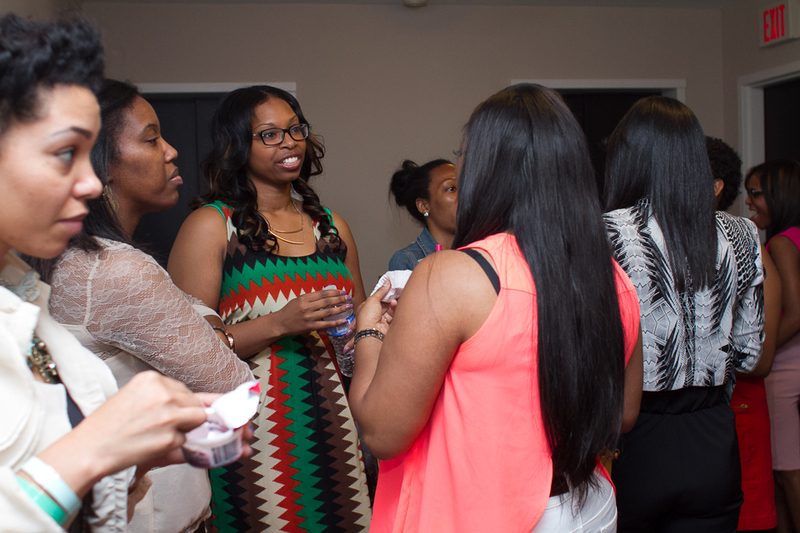 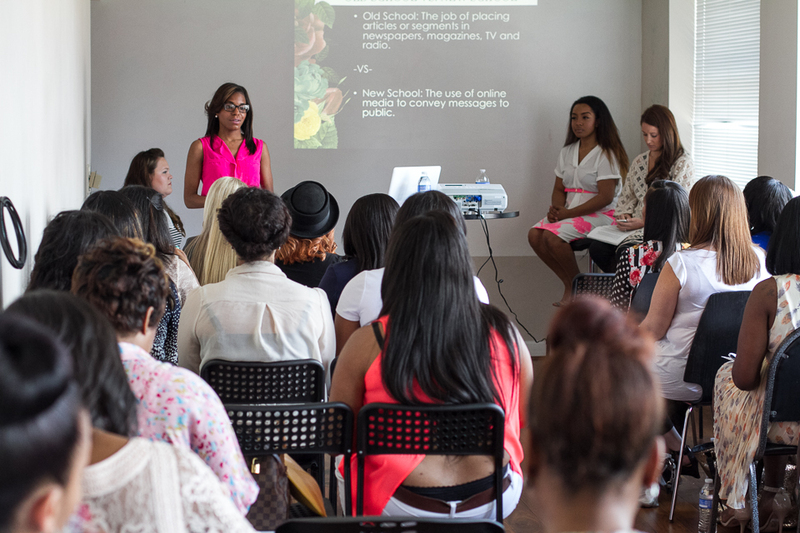 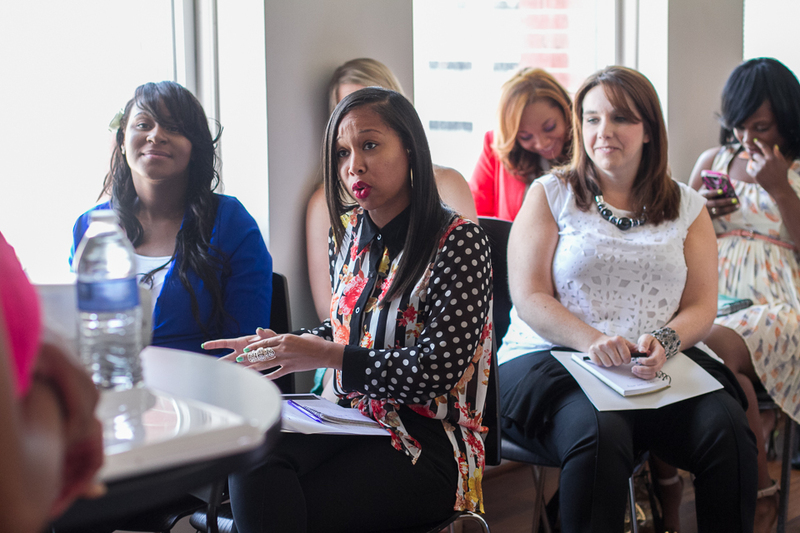 It was an honor to bring together successful women who are great at what they do. 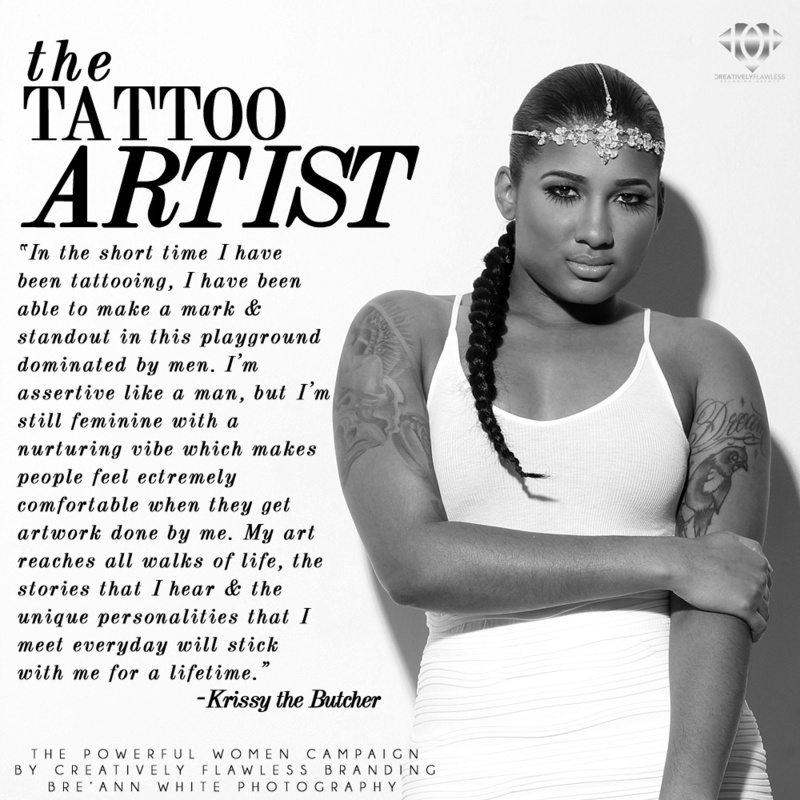 A chemist, nominee for state rep, tattoo artist, publicists, six figure income entrepreneurs, bloggers, non-profit founders, leaders, a DJ and brand manager. 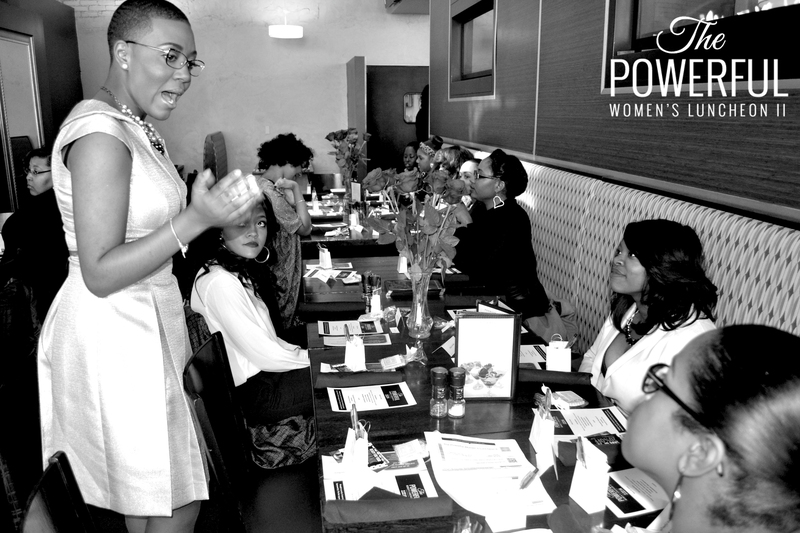 We introduce, The Powerful Women Campaign #NoWomanLeftBehind. 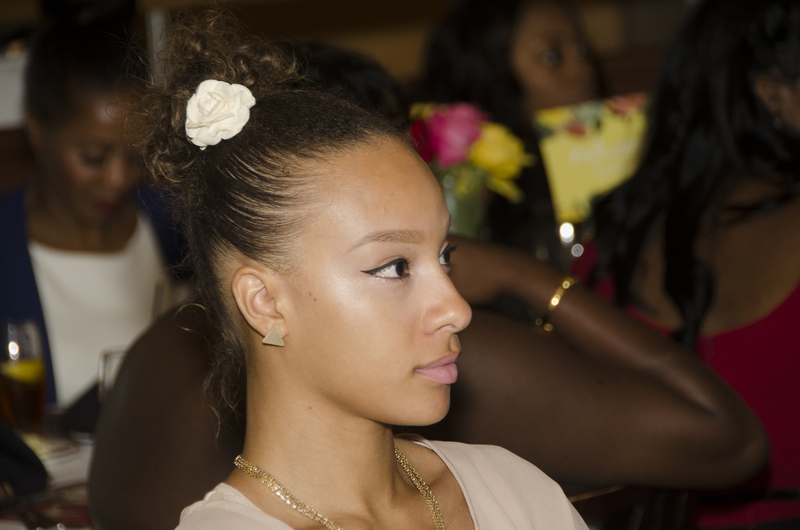 A Powerful Poem Titled: Q.U.E.E.N.S. 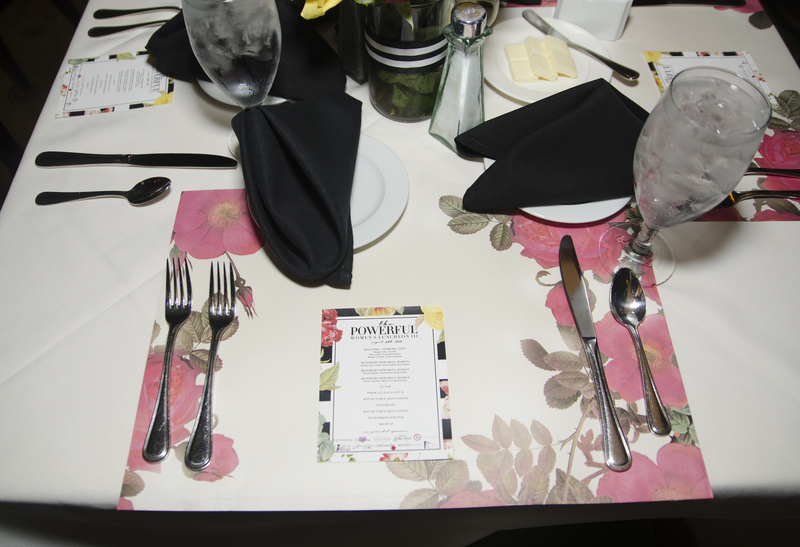 CANTON,MI– Webster’s dictionary describes “Powerful” as an adjective with its definition as having great power or strength. 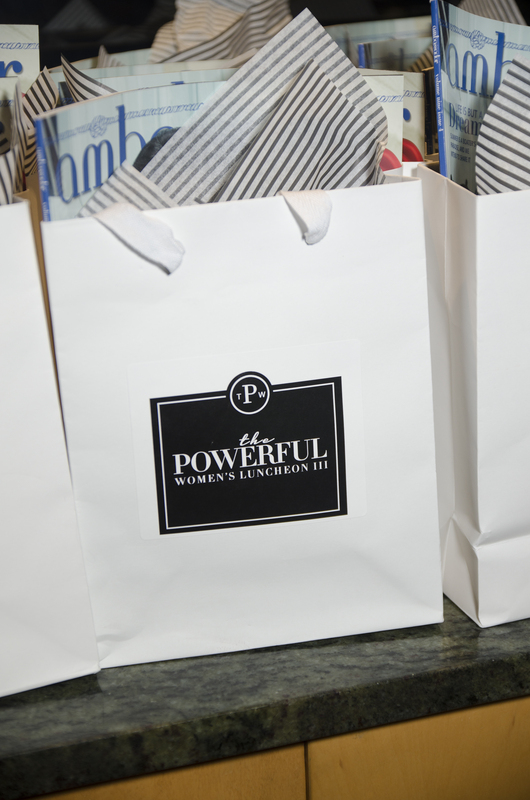 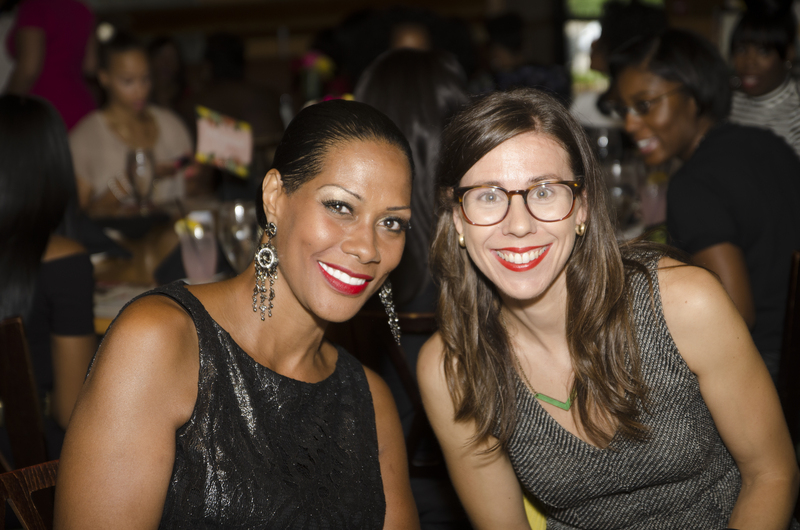 The 2nd annual Powerful Women’s Luncheon will create an open space and positive dialogue for women who are not only excelling in their fields, but are powerful and positive in their efforts to giving back to their respective communities. 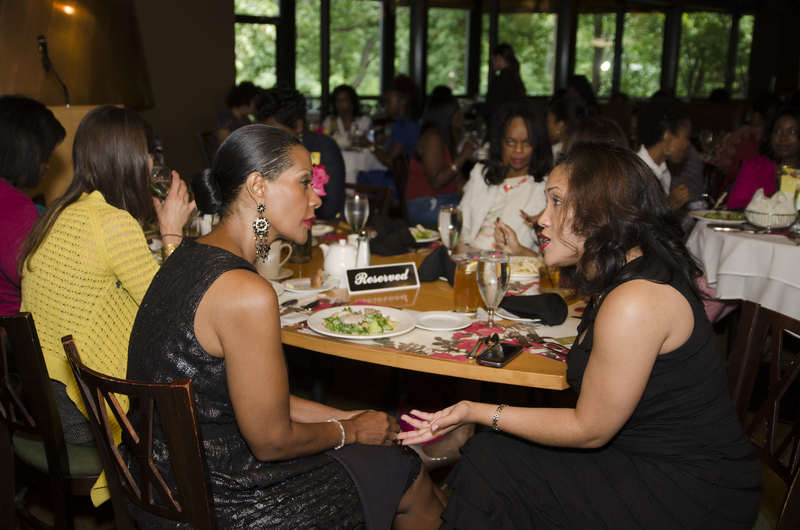 The luncheon is apart of The Powerful Women’s Campaign with its hashtag movement that has attracted over 100+ women who will be apart of the movement known as “ #No Woman left Behind”. 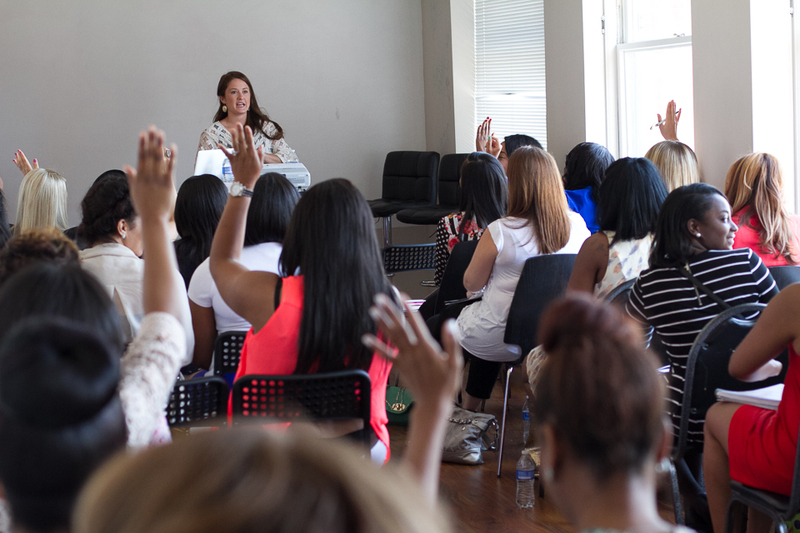 The campaign’s main goal is to focus on building and empowering women who are like minded, goal oriented and of course, powerful in their respected fields. 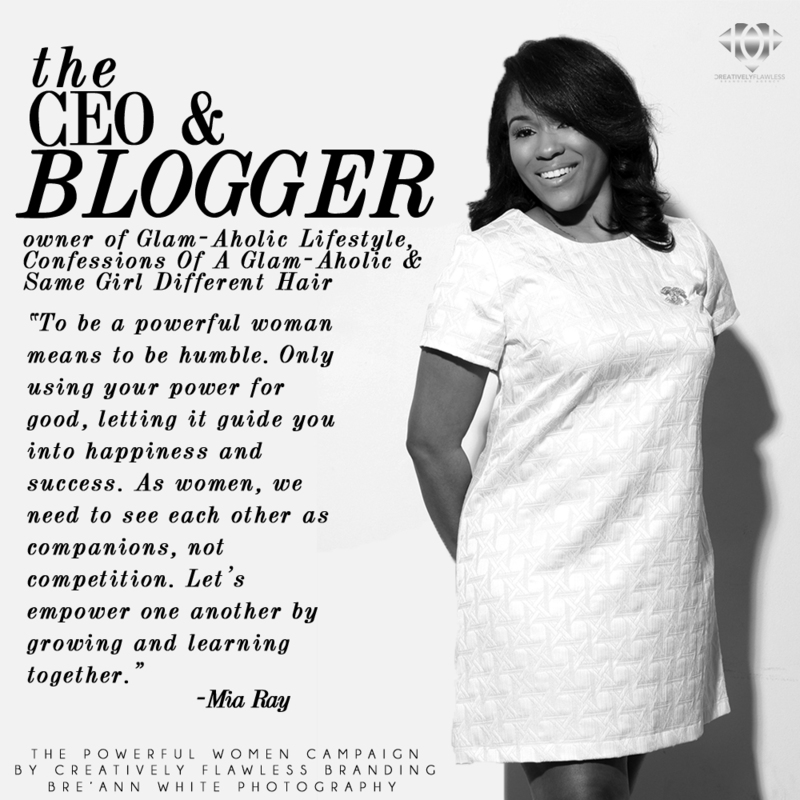 Presented by Creatively Flawless, which is a company focused on building and empowerment through branding, and lifestyle marketing. 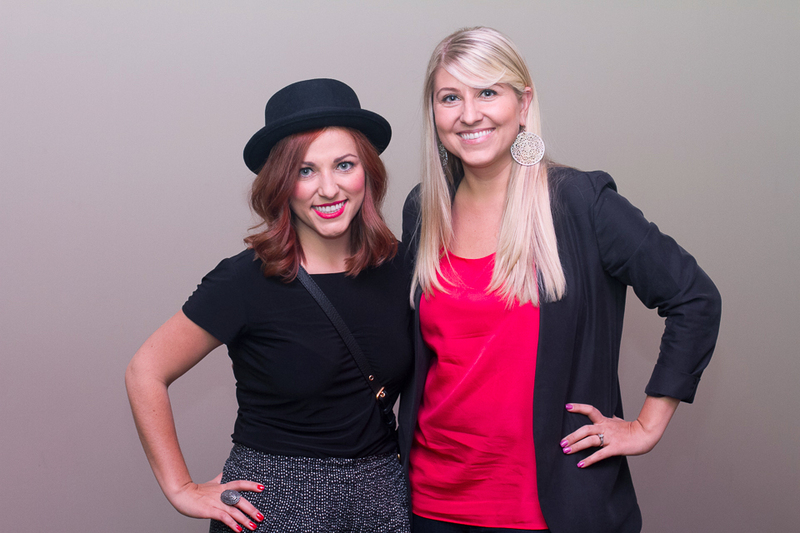 They strive to inspire while exhibiting their expertise in brand development through creativity. 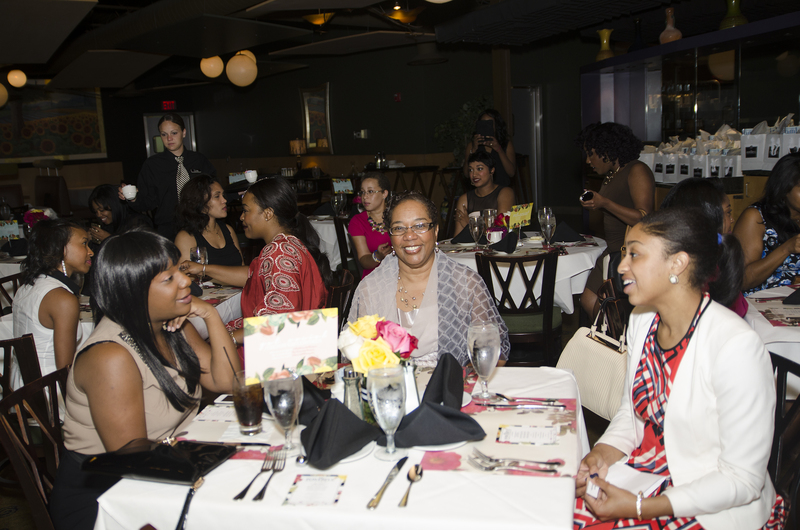 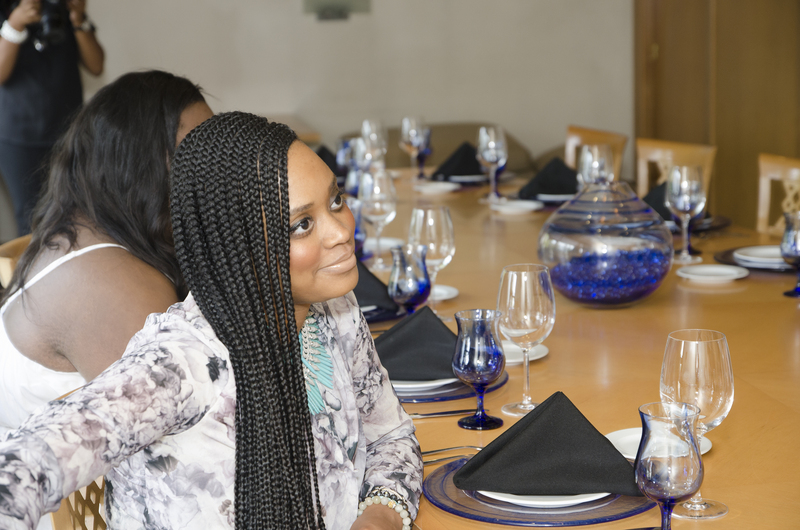 The luncheon will attract women between the ages of 18-40 together for roundtable discussions, motivating dialogue, networking and a upscale dining experience. 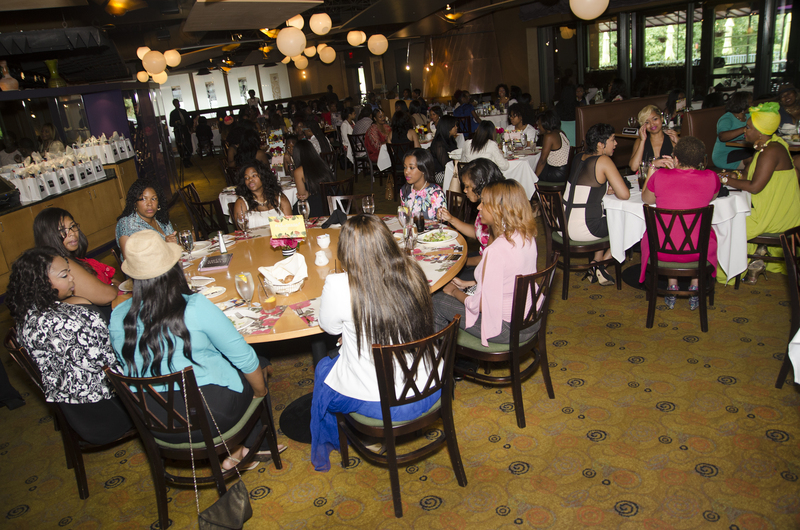 The room will be filled some well known names such as, Mia Ray (Glam-Aholic Lifestyle) Tawny Thieu (Pink Pump) and AP the Absolute Princess(HOT 107.5). 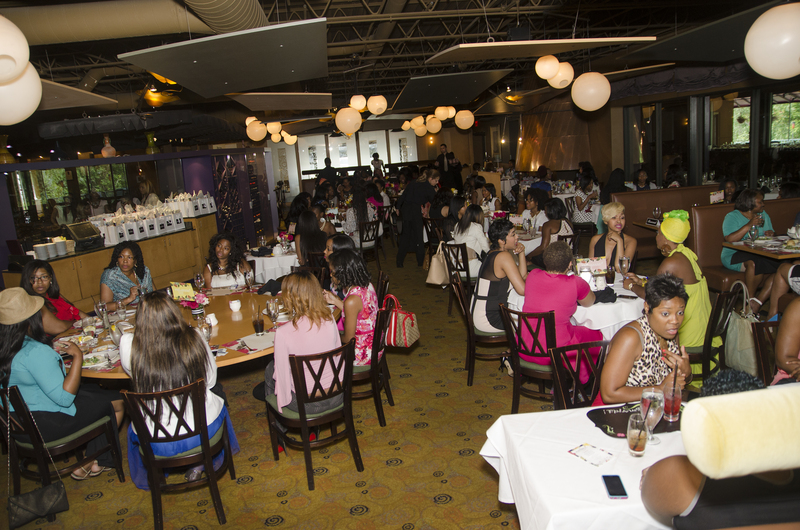 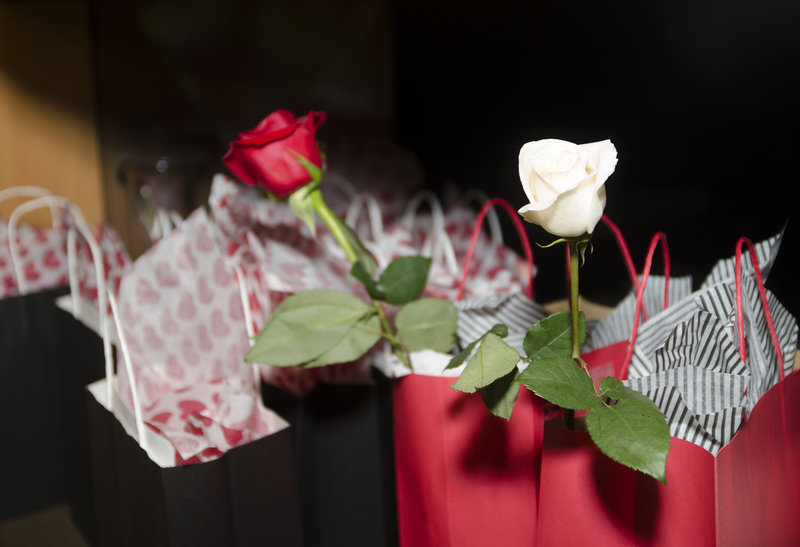 The event will take place Saturday February 22nd, 2014 at Hayden’s Grill & Bar located at 39895 Ford Rd (Canton,MI) Hayden’s contemporary design, restaurant experience, and exceptional service will create the perfect atmosphere for a perfect and power driven luncheon.